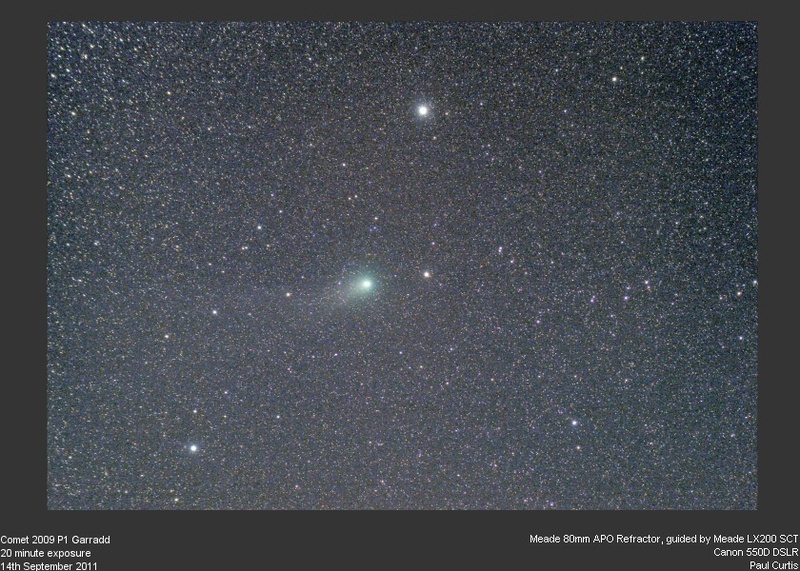 Comet Lovejoy is a good object in the sky right now and has exceeded expectations on brightness, getting to magnitude 4. 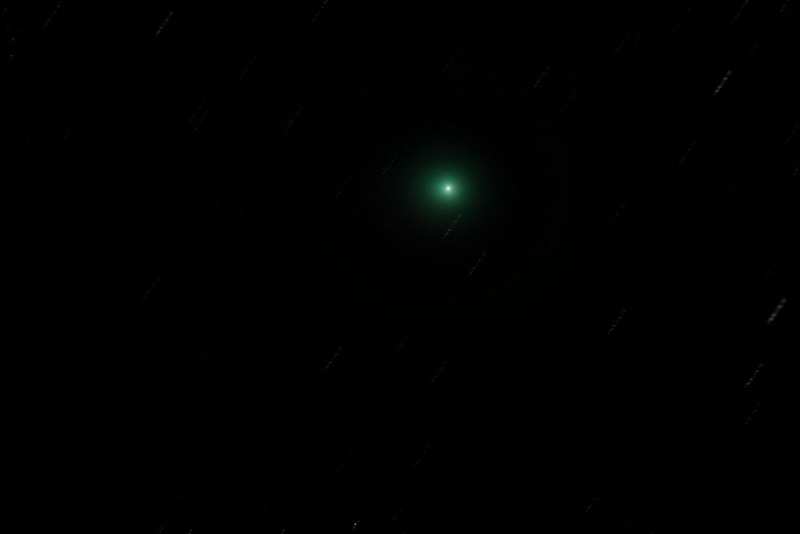 It shows a lovely green nucleus with a very faint ion tail, the latter only visible in images. See left for images by members Gordon Lloyd and Paul Curtis. Click on the thumbnail left to see pictures of he Northern Lights taken by member Paul Curtis in Norway in October. 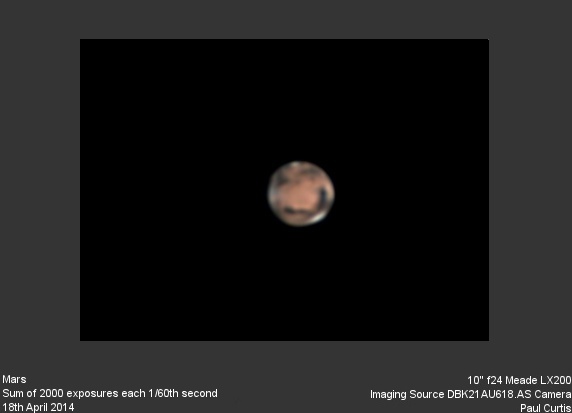 Mars is bright in the south and members have been out imaging. See left for images by members Gordon Lloyd and Paul Curtis. 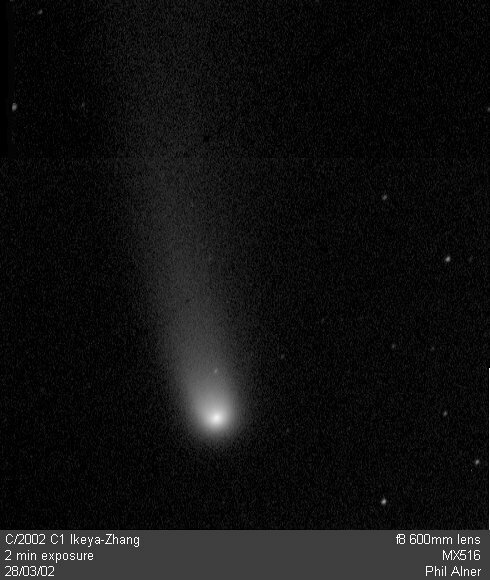 Gordon's image was taken with his 10" Newtonian and a Celestron Neximage 5 at f14.4. 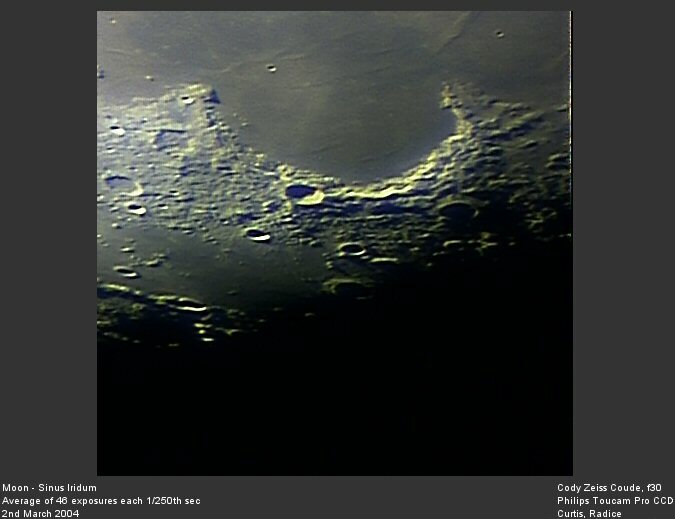 Paul's image was taken with his 10" Meade LX200 and an Imaging Source DBK 21AU618.AS Camera at f24. 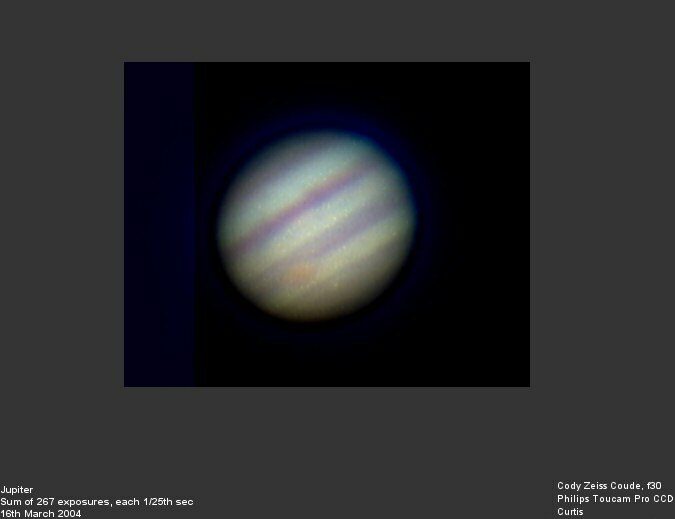 Jupiter is high in the sky and members have been imaging with a range of scopes and cameras. 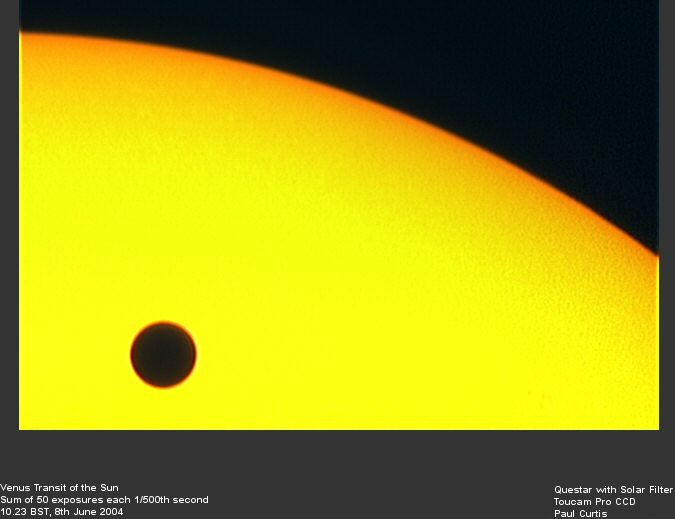 See left for images by Gordon Lloyd (showing a double shadow transit) and Paul Curtis (a single transit and the red spot). 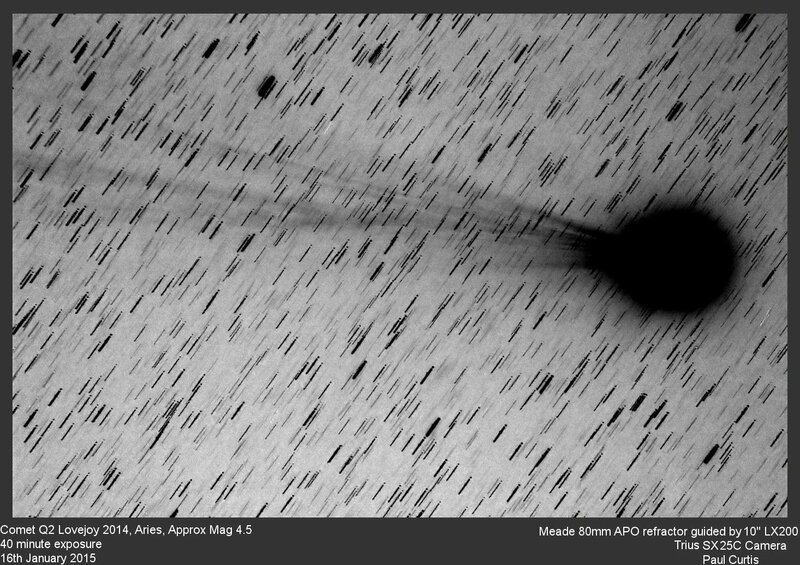 The images to the left are photos of Werner's X, taken by Gordon Lloyd with his new Celestron camera, on 8th March at 1938 and 1942 GMT, when the Sun's Selenographic Colongitude was 358.5 and 358.6 degrees. 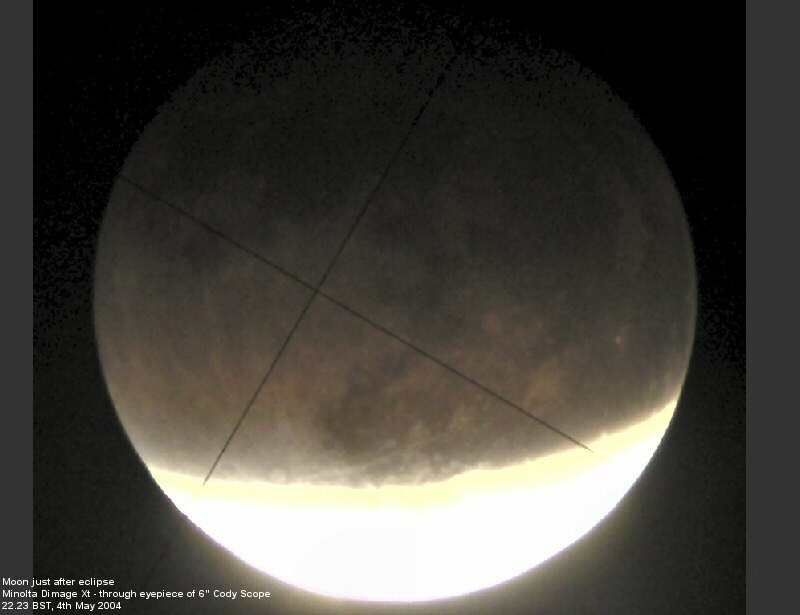 Werner's X is a lunar feature that appears for a very short time at a specific lighting condition on the moon. It is of course just a quirk of the lighting, being the illuminated tops of crater walls, but under the specific lighting conditions captured in these images it is a striking artifact. 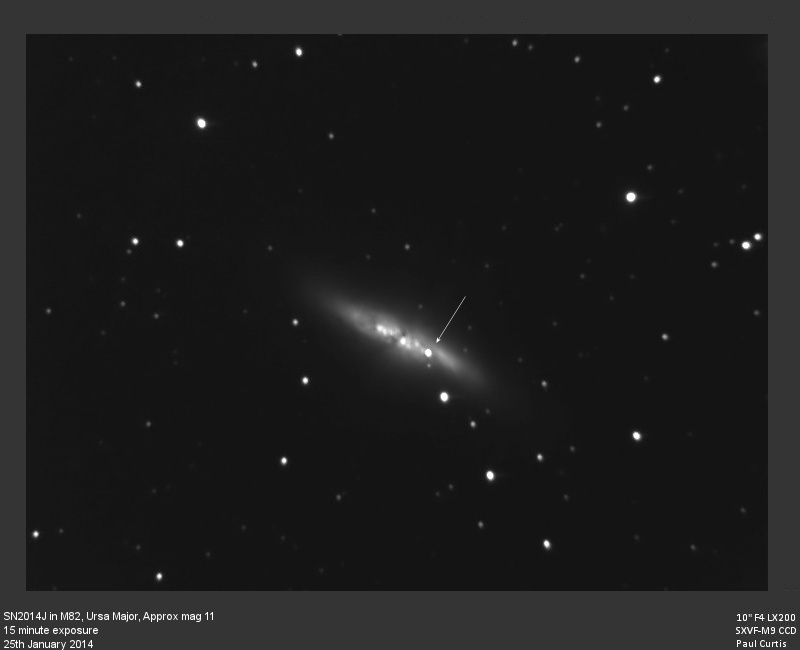 A new bright supernova has been found in a nearby galaxy, M82, in the constellation of Ursa Major. The galaxy is about 12 million light years away, which makes it a near neighbour to our own Milky Way galaxy. 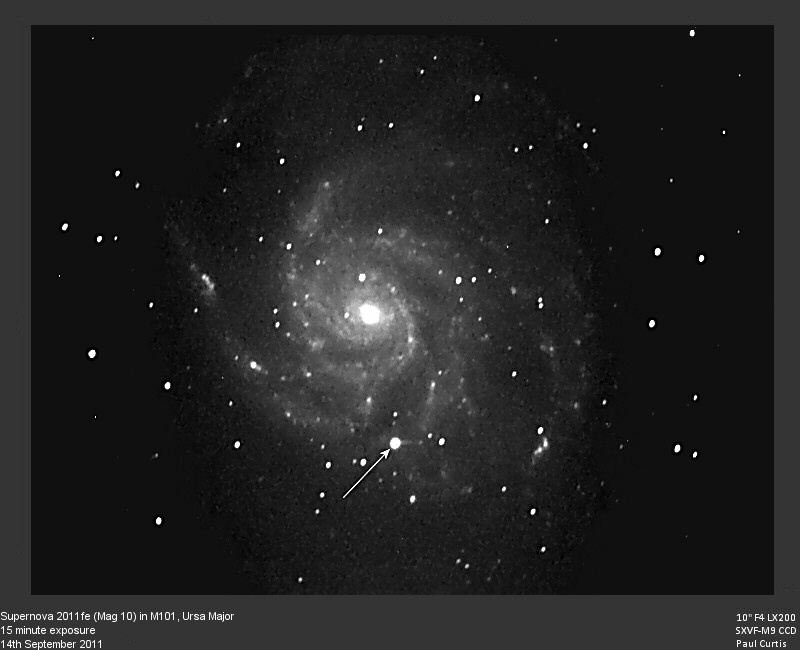 The supernova is currently about magnitude 11 and should be easily visible in binoculars or a small telescope. 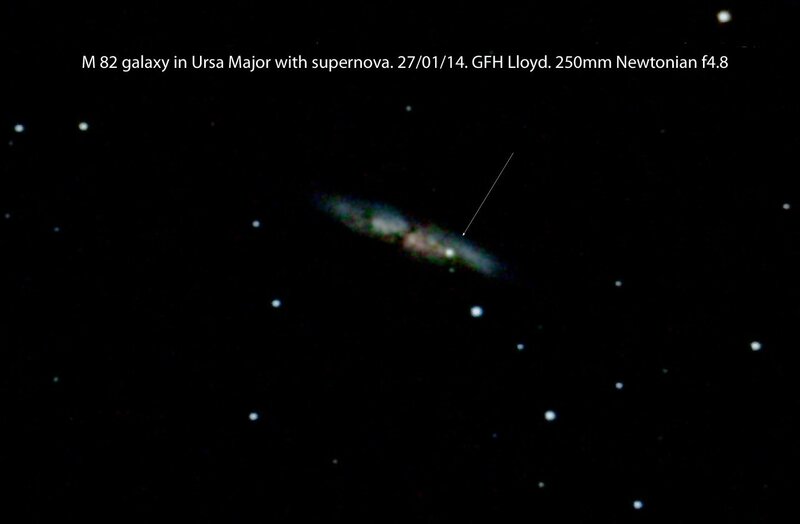 It is the brightest supernova for 30 years. Click on thumbnails to the left for images taken by Cody members Gordon Lloyd and Paul Curtis. 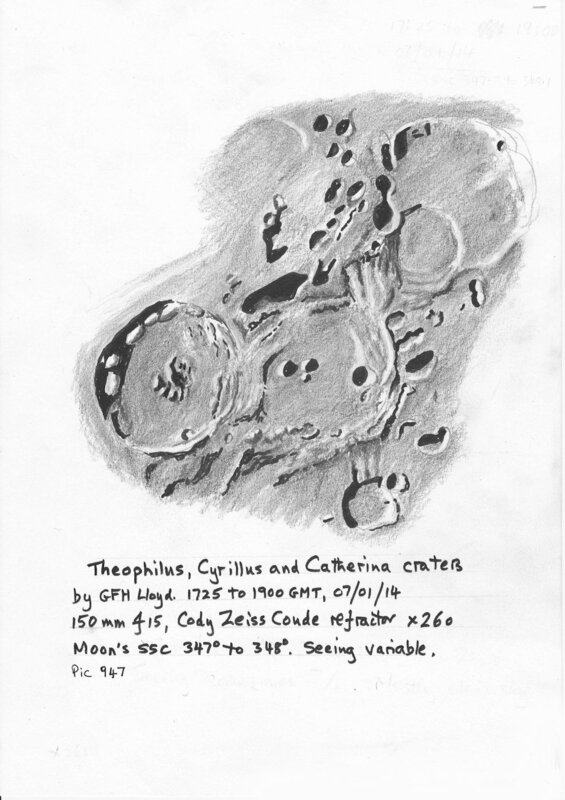 Gordon Lloyd has recently completed some excellent new lunar drawings from observations through the society's Zeiss telescope. Click on the links left to see them in all their glory. 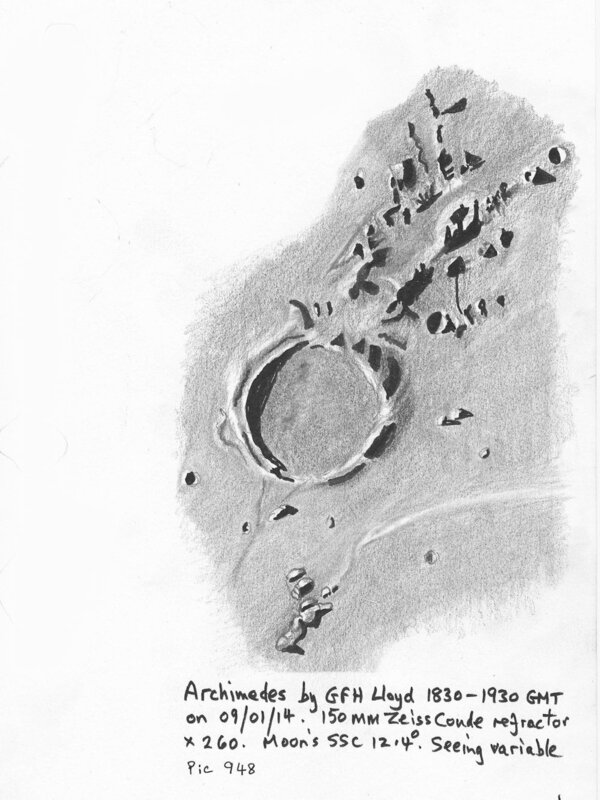 This link gives some information on how to draw the moon. 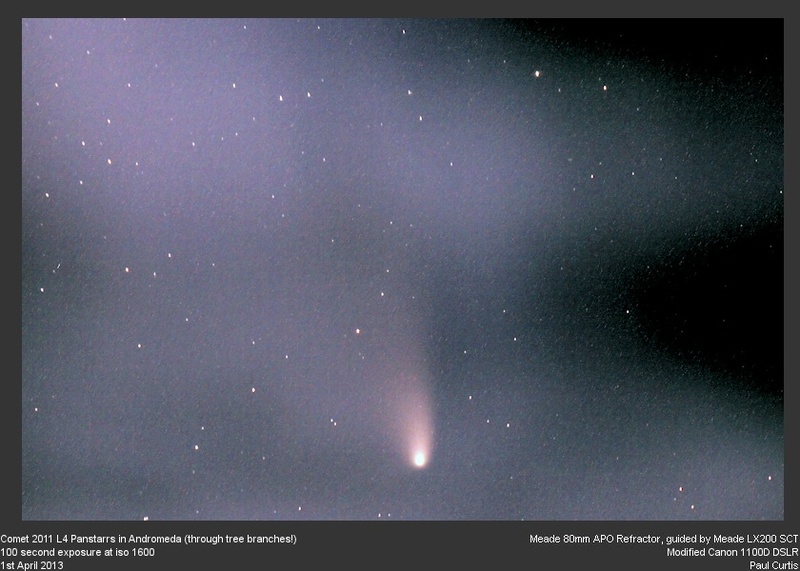 Members of the society have been observing Comet 2011 L4 Panstarrs. Click on the thumbnails on the left for images taken by members Paul Curtis and Gordon Lloyd. 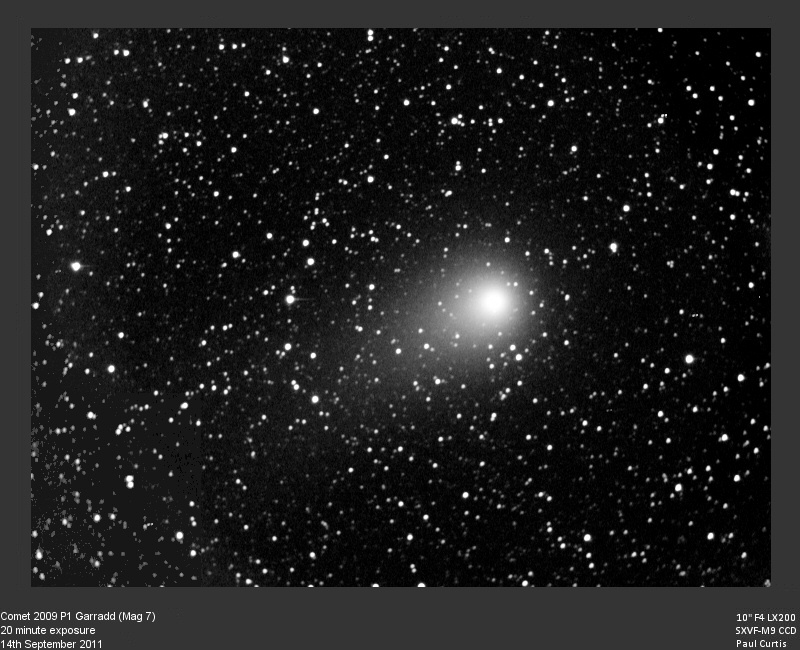 The third image shows the comet close to the Andromeda Galaxy M31. 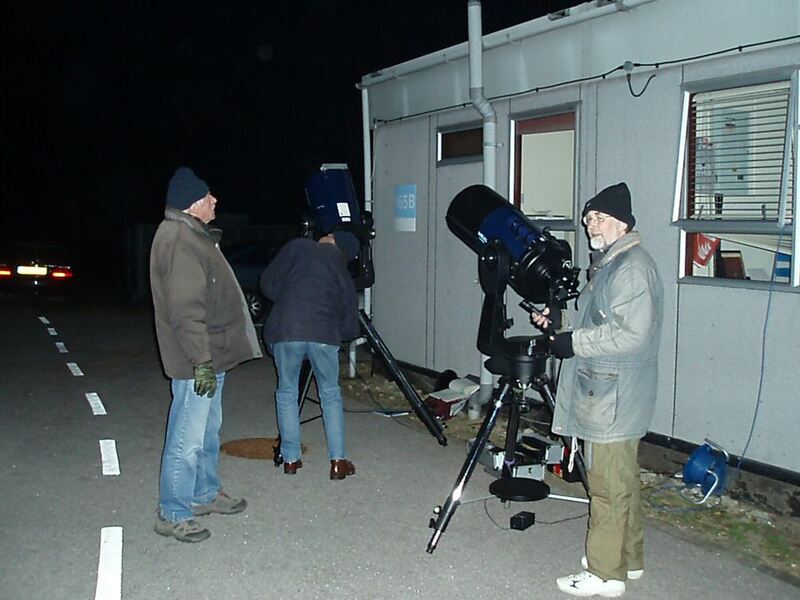 Members of the society met at the Cody observatory on the evening of 15th February to view the close pass of the asteroid 2012DA14. About 15 members attended, but unfortunately there was a lot of cloud. 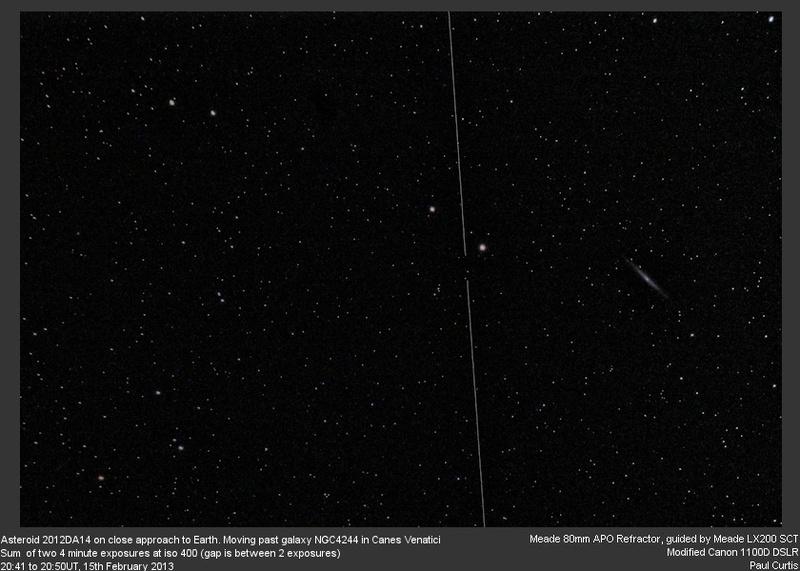 See left a photo of the asteroid taken by member Paul Curtis. 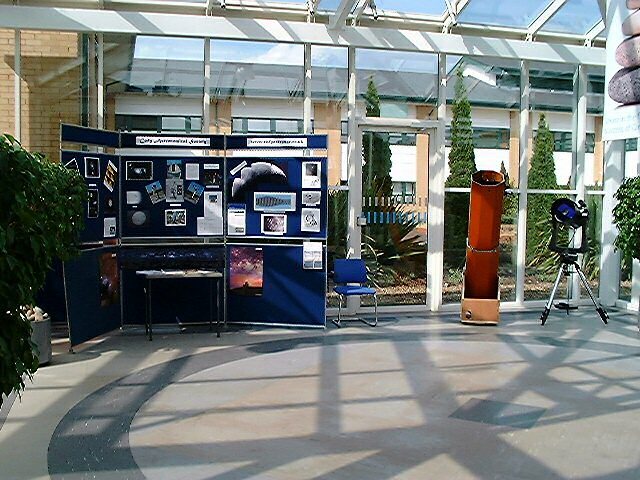 Members of the society once again supported a public Stargazing Night held at INTECH in Winchester on 2nd Feb 2013. Fortunately early clouds soon dissipated and we had glorious clear skies for the rest of the evening. There were non-stop queues waiting to look through the two telescopes we set up for the public to get a taste of amateur astronomy for themselves. Most of the time was spent looking at Jupiter, which put on a good display with a transit and shadow transit of Io to provide interest, and M42 (see picture). 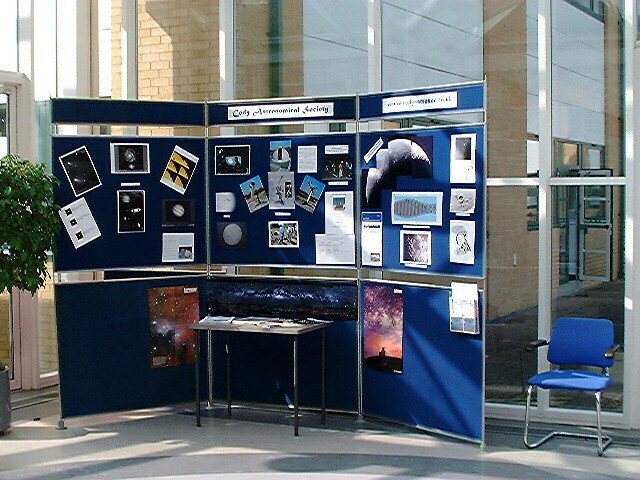 Meanwhile we also had an indoor stand where people could talk to our members and learn more about astronomy. Turnout was phenomenal with over 850 people braving the cold, a new record for this event. Check the INTECH website for information about the next event. 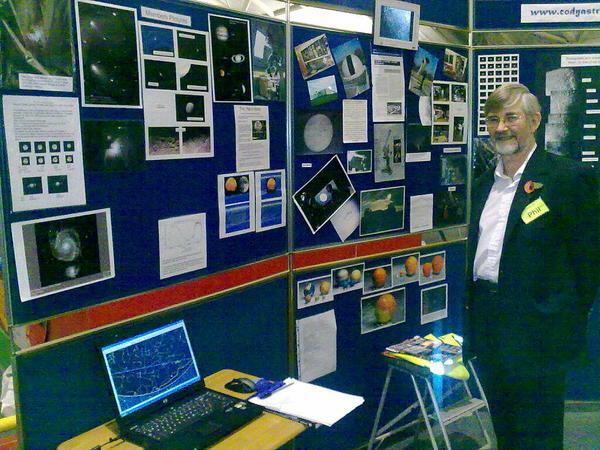 See images left taken by member Peter Randall of Orion and M42 and a picture of our stand. 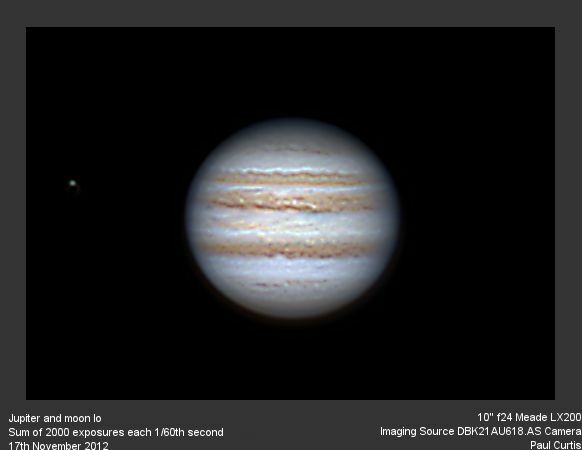 Jupiter is at opposition in December in 2012 and is showing some high levels of activity in the Northern Equatorial Belt and the revived Northern Temperate Belt. Click the image to the left to see a photo by member Paul Curtis. The society mounted a stand at the QinetiQ fun day in July. See images to the left. 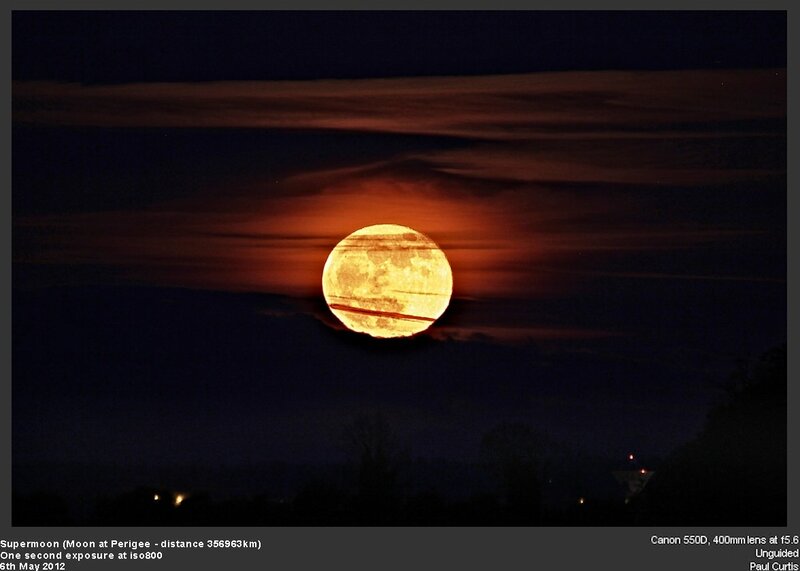 On may 6th 2012 the moon was nearer to the Earth (perigee) than at any time during the year. It was 14% larger and 30% brighter than average. Click the image to the left to see a photo by member Paul Curtis. 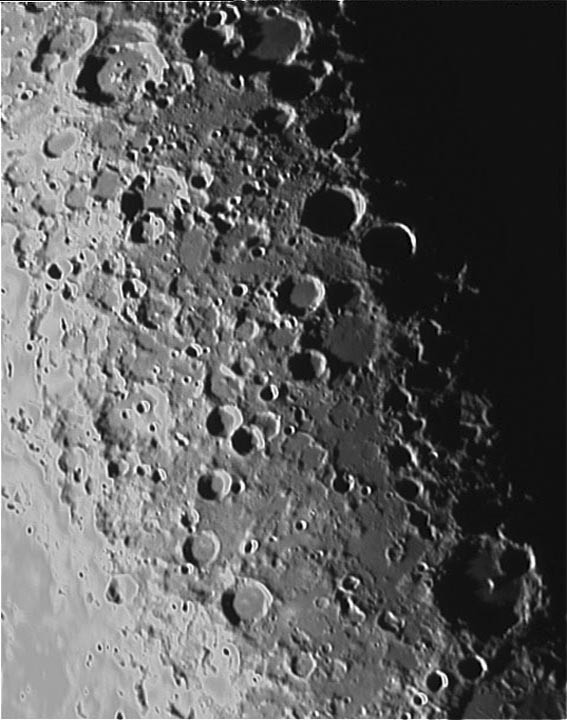 A motorway slip road into a lunar crater? Or what? Click here for the an article by member Gordon Lloyd. 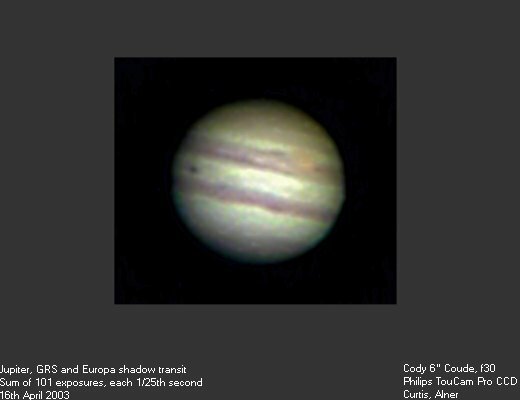 Members have been observing the magnificent Jupiter at opposition in October this year. 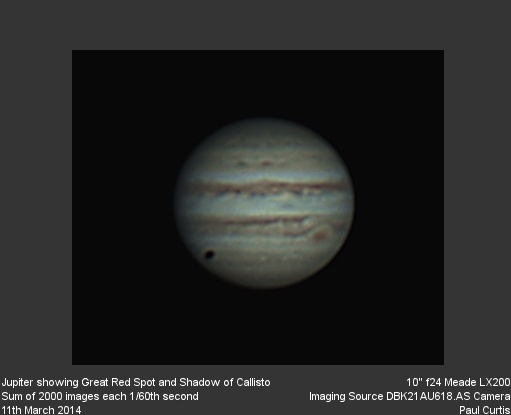 The southern equatorial belt is back and the great red spot appears to be moving in the middle of the belt rather than in a hollow below it. Click the image to the left to see a photo by member Paul Curtis. 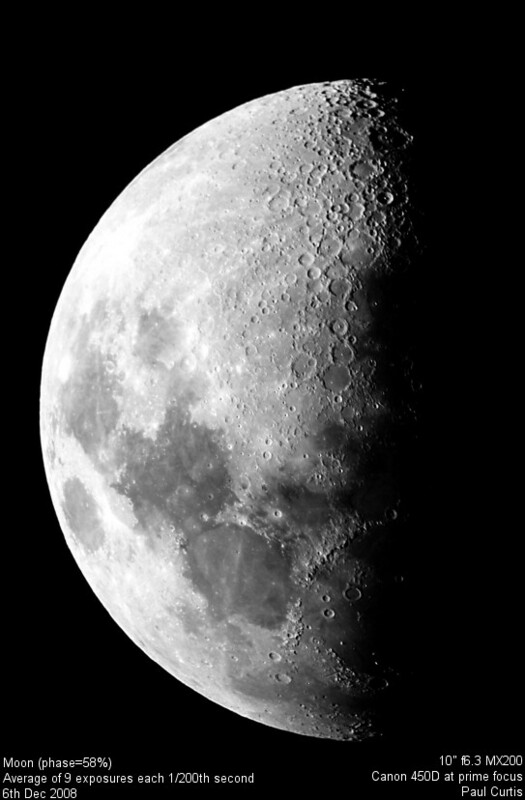 Until the USA Lunar Orbiter photography in the late 1960s, the Moon�s surface was not mapped in the fine detail that it is now. 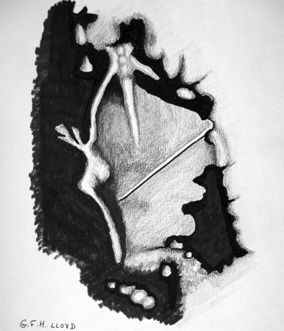 Observers often found strange shadows under certain lighting conditions which were hard to explain. Some wild �discoveries� were made! 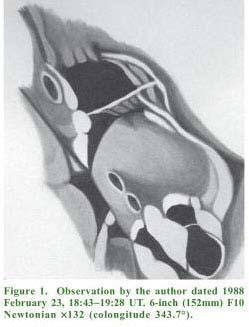 One object was the so-called �O�Neill�sBridge� announced in 1953 � which does not exist. On the other hand, �Larrieu�s Dam� from 1955, is an interesting, misshapen crater that exhibits what looks like a straight road on top of a dam, crossing dark water. Click here for the full article by member Gordon Lloyd. Members met up for a barbecue at chairman Phil Alner's house in Fleet. Phil and Pat cooked up a great feast enjoyed by all. Then to top it all we actually had a really clear night so there was lots of viewing ! 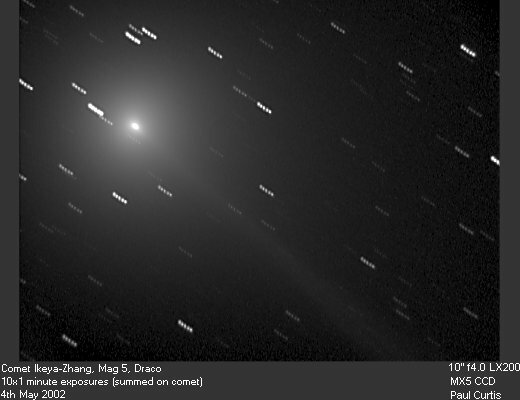 Members images of Comet Garrad. Click on thumbnails at the left. The brightest supernova for 30 years was visible in September 2011. Click on thumbnail to the left for an image taken by member Paul Curtis. 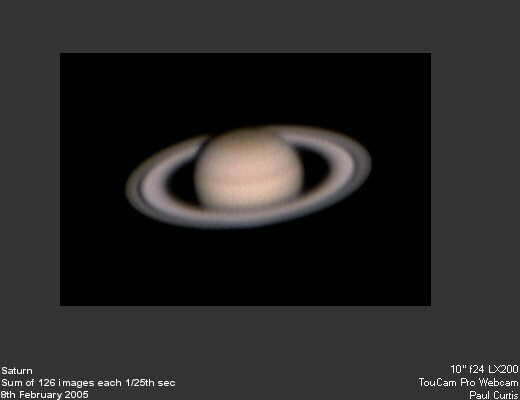 Members have been observing Saturn at opposition in April. See images at the left. 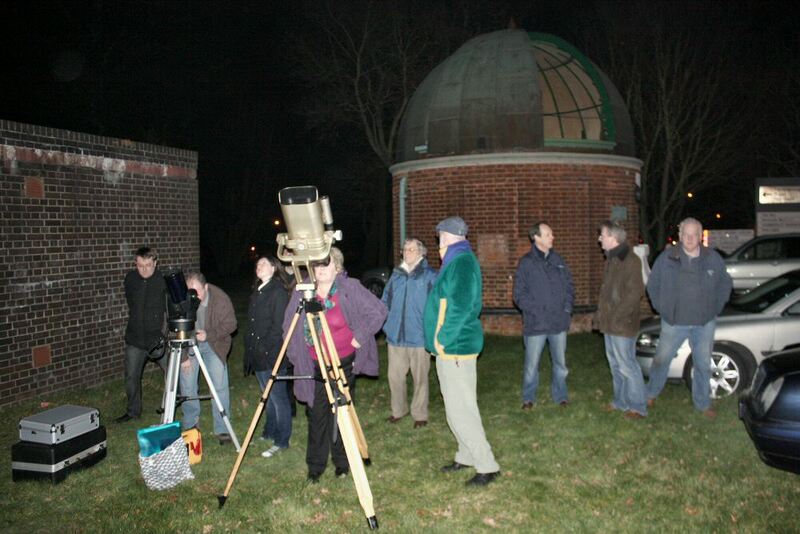 There were about 12 to 15 attendees at the Farnham 'Introduction to the Military Observatory' on the 12th March. 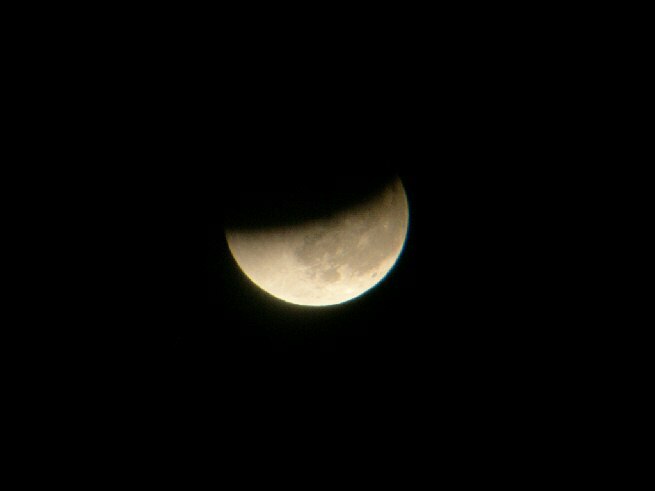 The sky was cloud covered although there was a slight break allowing the moon to poke through for 10 minutes. 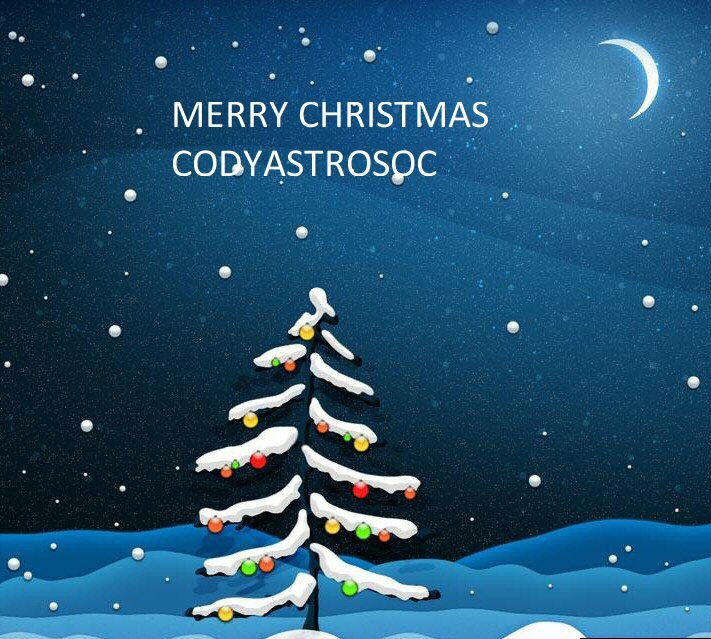 4 Cody members attended. See images on the left. Members of the society attended a club observing evening in March. We had 4 scopes and 6 members viewing. A good viewing evening had by all. See images to the left. Members of the the society manned a stand at the Intech amnesty evening at Winchester. Members of the society attended the event this year, also helping to man the SAGAS stand. The meeting was held in the grounds of Herstmonceux castle (the former home of the Royal Greenwich observatory). There were exhibitions, telescopes and some exceptional speakers at this years festival, including Chris Lintott, Stuart Clark, Ian Ridpath, Ninian Boyle and Nik Szymanek. And best of all the weather was superb with a clear night on the saturday when the observatory telescopes were open for public viewing. There were excellent views of Jupiter, M13, Albireo etc through these historic telescopes. One interesting observation - the 100 year old optics in these telescopes were clearly not as good as in modern telescopes ! And the scopes have to be man-handled into position - no such thing as GOTO !! 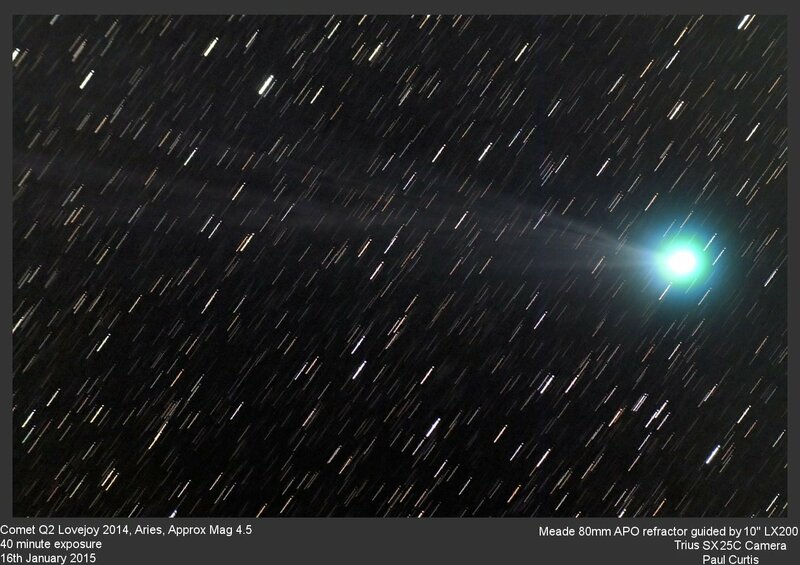 A green comet with two tails ! 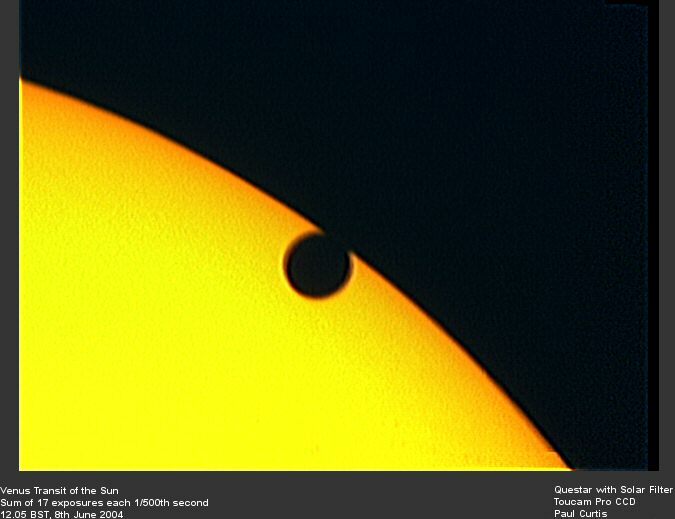 2009 is officially the International year of Astronomy. Take a look at the website here to see what is going on. Our December observing CLUB-NIGHT and Xmas Party takes place on Thursday 11th December from 7:30pm at the Observatory. Free to members that have paid their subs, partners welcome ( you will need to book them in on the visitor system ). 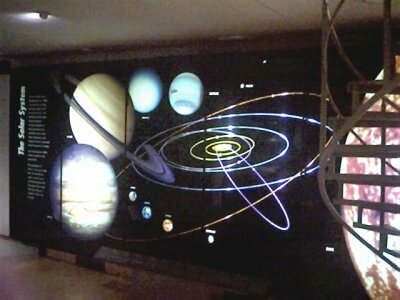 The evening will also contain other items of astronomical interest. 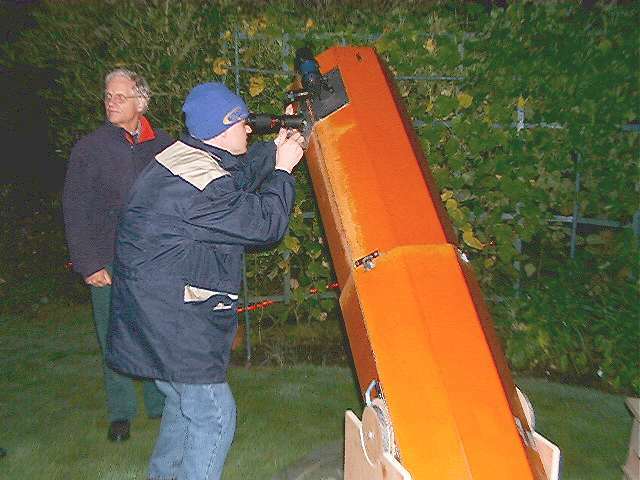 Members are also invited to bring their own Telescopes . Don't forget the Society's AGM on 11th June - please come along. 6th - 10th MARCH 2008. 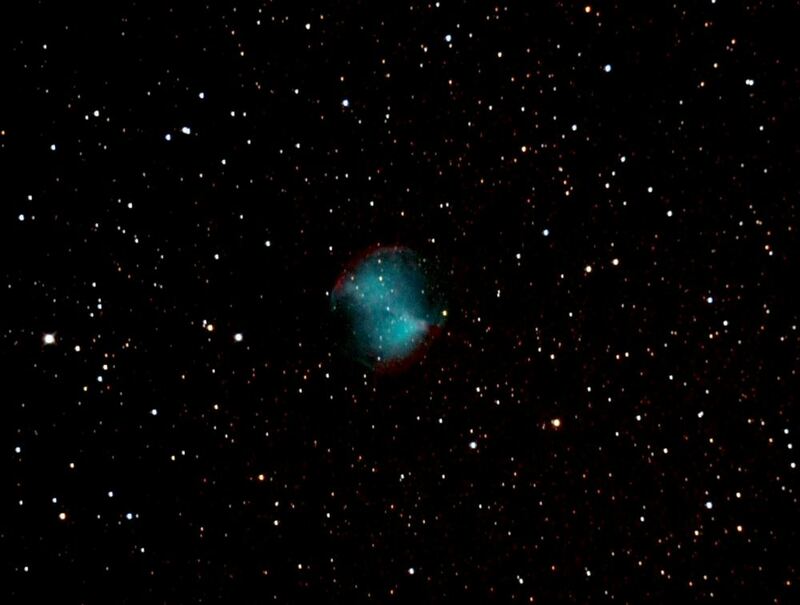 Come and enjoy some of the darkest skies in the South. The society set up and manned a stand at the QinetiQ funday on saturday 6th June at the Cody Technology Park in Farnborough. A link to the observatory was established for remote use of the Zeiss telescope which was set up for solar observation. 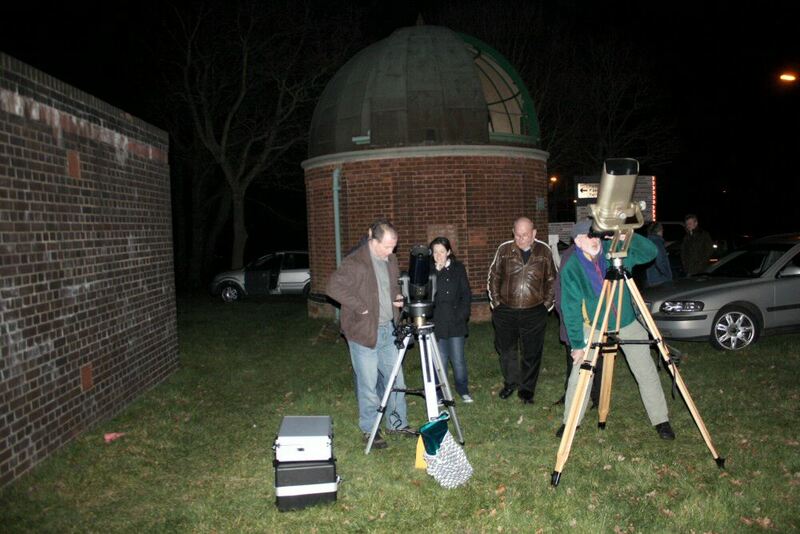 Members outside the Cody Observatory for a club viewing evening. A pair of binoculars has been donated to the club by www.uk-telescopes.co.uk - please support them by comparing prices if you are in the market for any telescopic equipment that they stock. They supply telescopes and telescope accessories for beginners and advanced astronomers and are official suppliers of Konus, Celestron, Meade and Sky Watcher telescopes and accessories. You can order online for same day despatch. 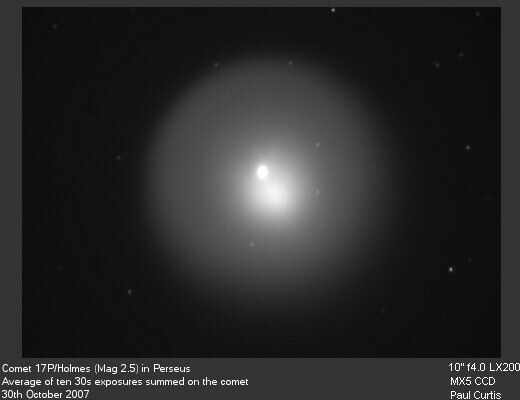 Members of the society observed the bright comet 17P/Holmes in outburst at magnitude 2.5 in Perseus. 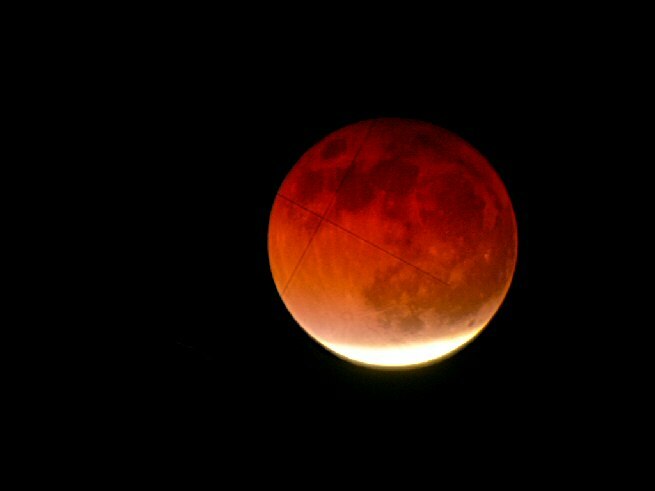 A total lunar eclipse was visible on Saturday 3rd March. 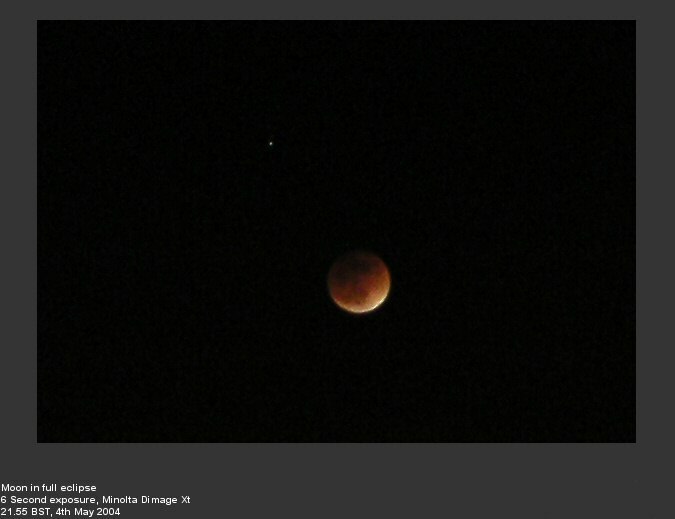 The umbral eclipse started at 21.30, with maximum eclipse at 23.30. 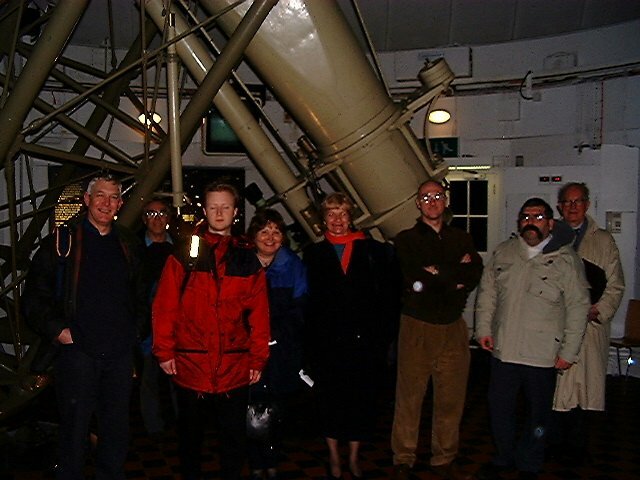 Members of the society viewed the event at the observatory. A members photo is shown to the left. 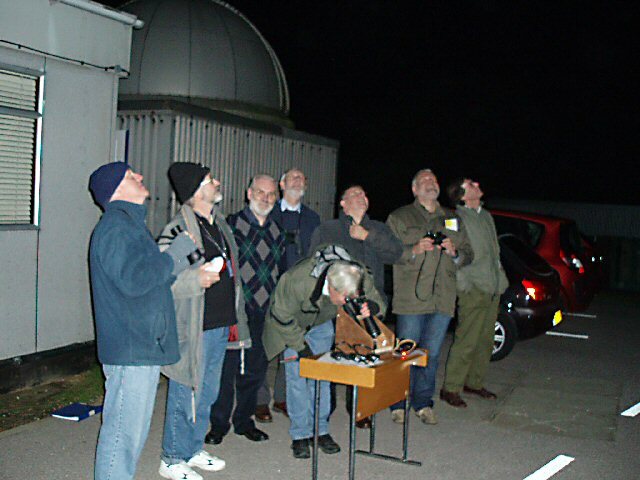 The society organised, at short notice, a Leonid observing evening. 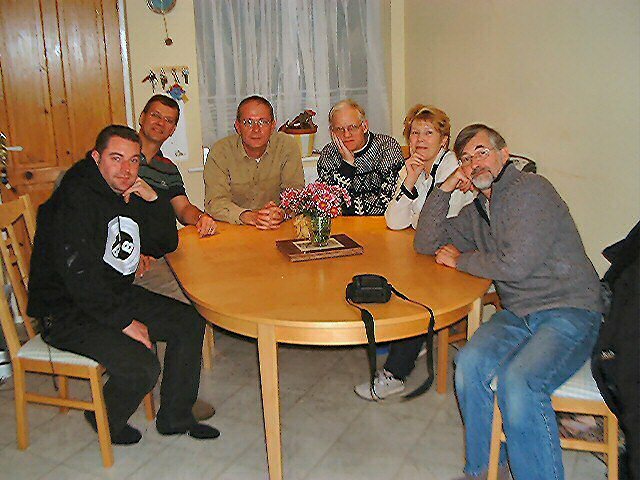 This was held at Paul's house - a dark site south-west of Andover - and six members attended. Despite the promise of good weather 24 hours earlier, the sky sadly clouded over from 7pm onwards, getting progressively worse. At midnight, after an evening of good conversation and indeed food and drink (! ), it was decided to abandon the event. 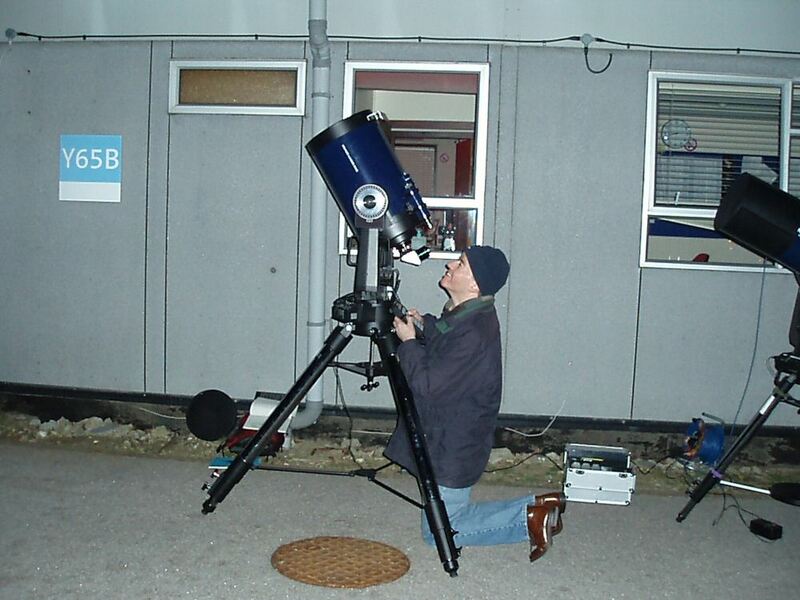 See the picture opposite for an example of a typical observing evening in the UK ! What was more galling was that Paul got up at 5am to find the clouds had disappeared and the sky was sparkly clear. 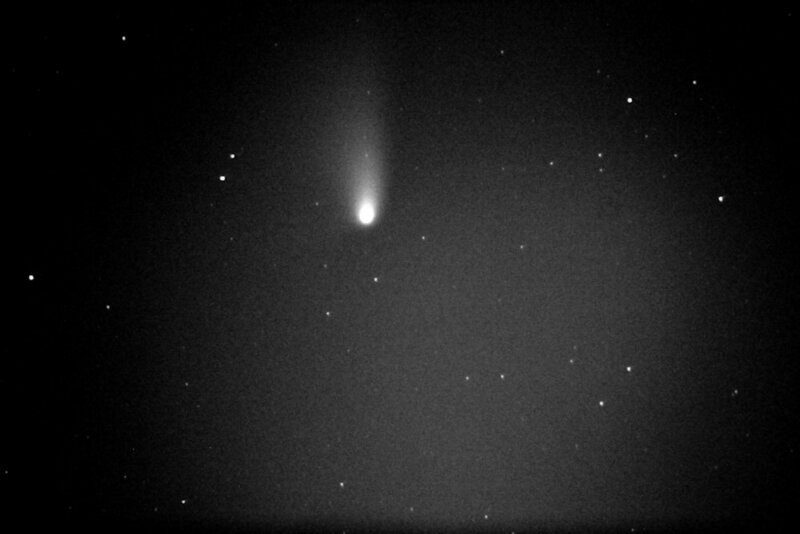 He went out and observed for half an hour, seeing 10 Leonids and one sporadic meteor in that time. 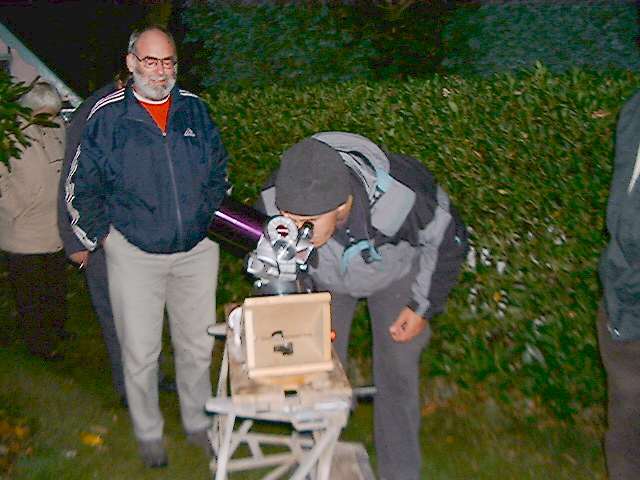 The society had two successful observing nights in late October with good attendance at both. 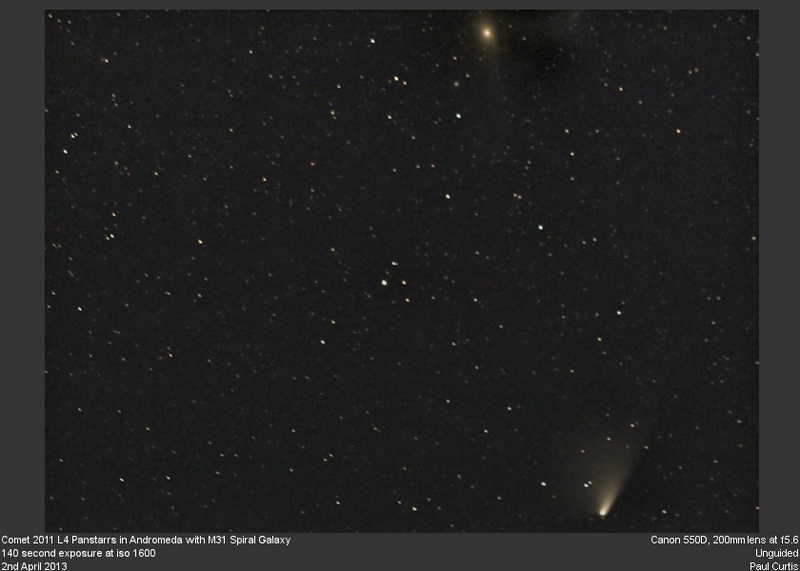 High on the list of objects to observe was the bright comet Swann - click left for a picture by one of the members. 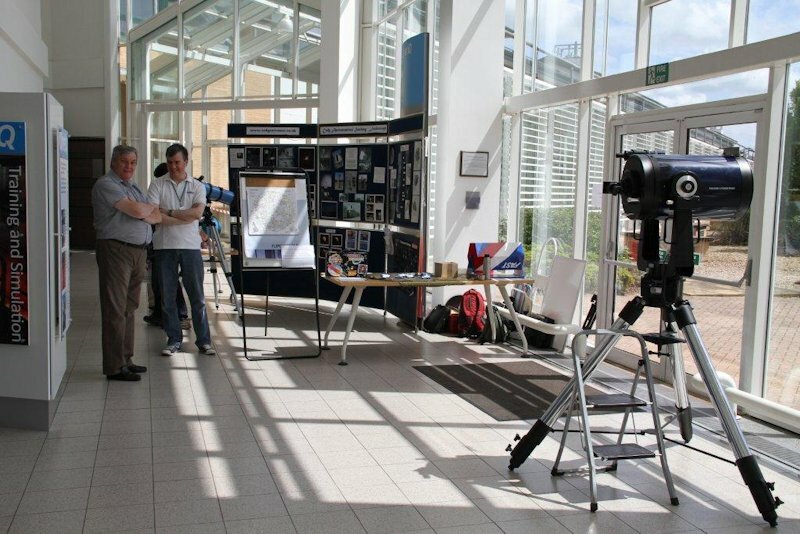 The society set up a recruitment stand in the main walkway at QinetiQ, Farnborough on 13th September to advertise the society to those resident on the Cody site. There was a good response. See the picture to the left. Cody AS is opening its membership to the public for the first time. Operating from within Cody Technology Park in Farnborough, Hampshire, membership has until now only been available to those with site access, but recently approval has been given to offer membership to a limited number of the general public. Unfortunately membership cannot be offered to non-UK citizens or children less than 16 years of age because of limitations on the issue of site passes. Those interested should contact chairman Phil here. The society held a barbecue and evening viewing session at the Chairman's house. 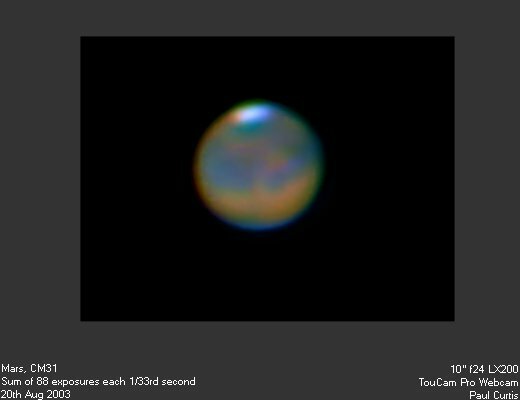 Sadly it was cloudy for virtually all of the evening, apart for a brief 15 minute break where glimpses of Mars were had. The event was well attended and a splendid spread of food and drink was available and a jolly time was had by all. Many thanks must go to Phil and Pat for a great evening. Click on the thumbnails at the left. 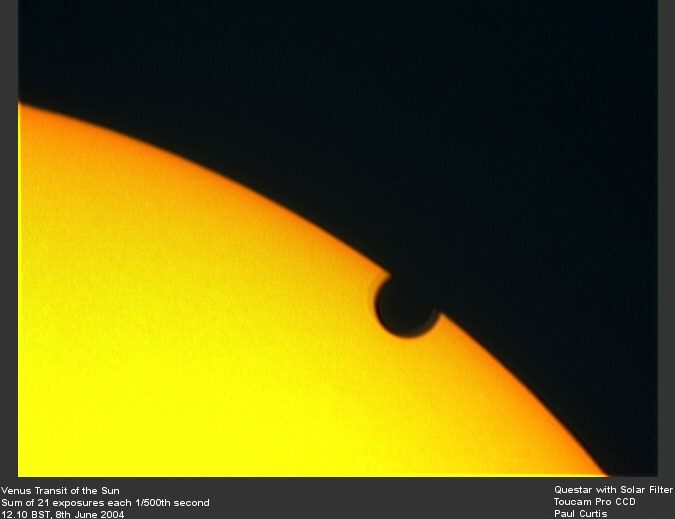 The society was honoured to host Nic Szymanek on 15th June for a talk on Astrophotography. He gave a very full and interesting talk following by a lively question and answer session. At the meeting he brought along copies of his new book 'Infinity Rising' which he was able to sell to members at a reduced rate. 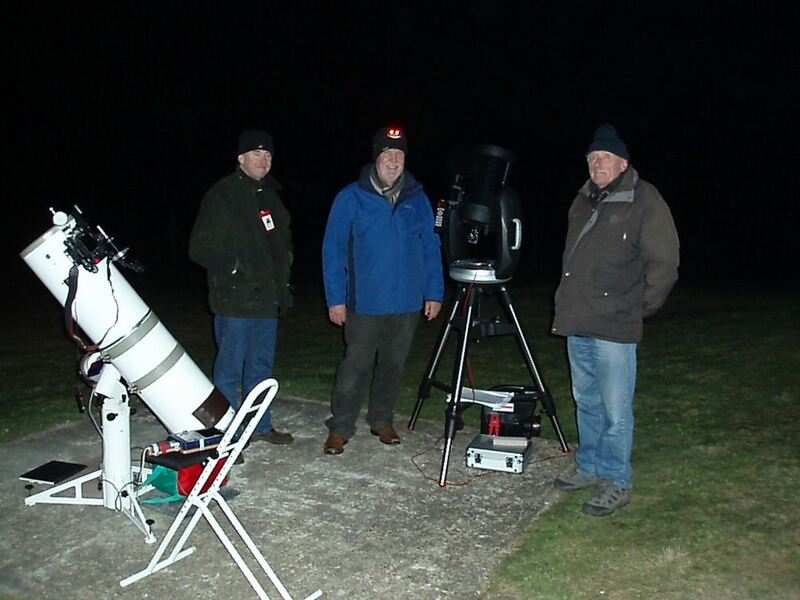 The society has been holding monthly viewing evenings this winter and had a good hit rate on clear nights ! The February evening was a good example, although it got a little damp later in the evening. 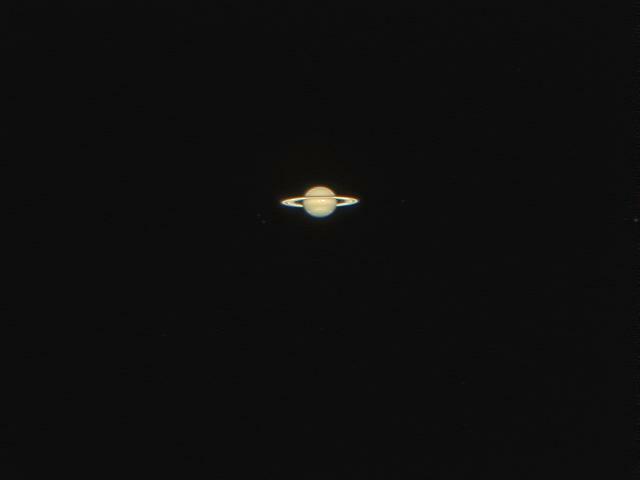 There was some low level mist aggravated by the Farnborough light pollution but the seeing was good and some fine views of Saturn (and Titan) were obtained as well as the brighter deep sky objects such as M42 ad M35. 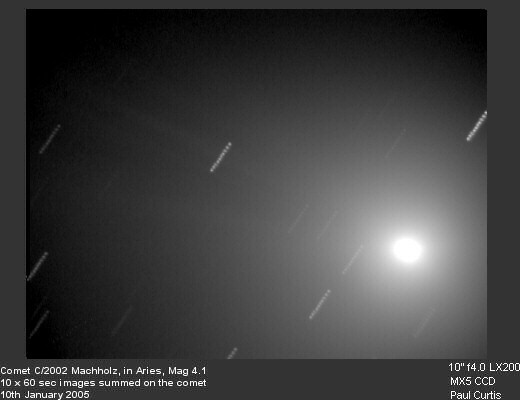 In addition members were able to see Comet Machholz, still bright and nearly overhead now. The evening was well attended with 15+ people, some bringing their own 'scopes. 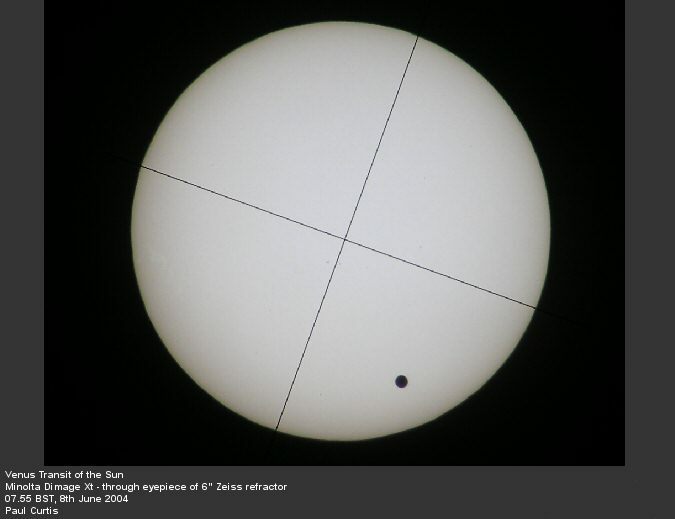 A few members gathered at the Cody Observatory to view the transit of Venus on 8th June 2004. The weather was superb, hot and sunny and 31C by noon ! We were joined by a continuous flow of people from QinetiQ and Dstl during the morning, coming to view the event at the Observatory. In the end hundreds of people saw the event at the observatory. The society's Zeiss telescope was set up for viewing by direct observation and by projections. 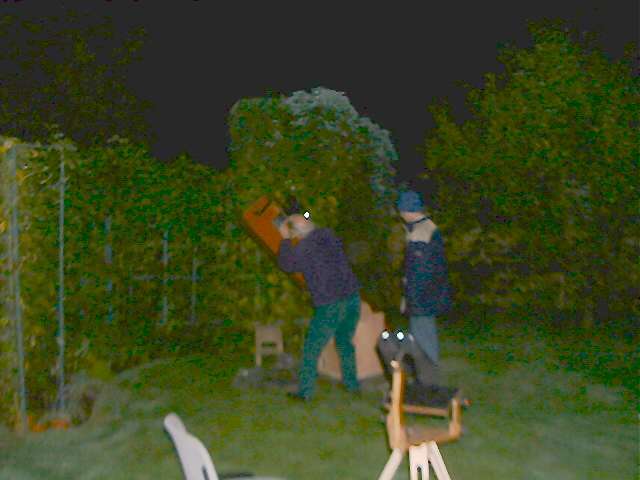 A number of members had set up telescopes outside the observatory and a live webcam image was on display. Many photographs were taken. Just a few are shown on the left - click for a larger image. 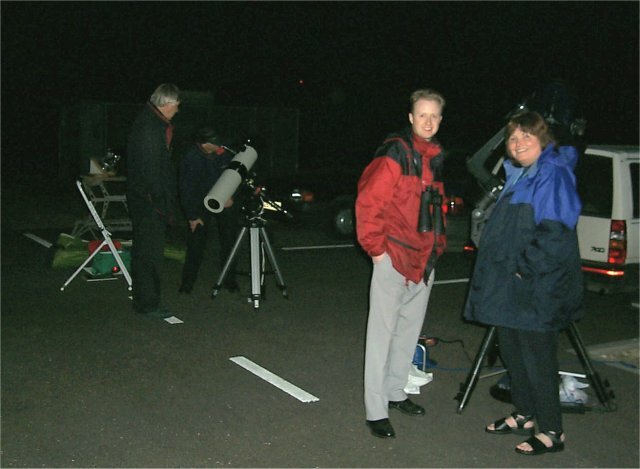 A few members gathered at the Cody Observatory to view the eclipse in the early evening of 4th May 2004. 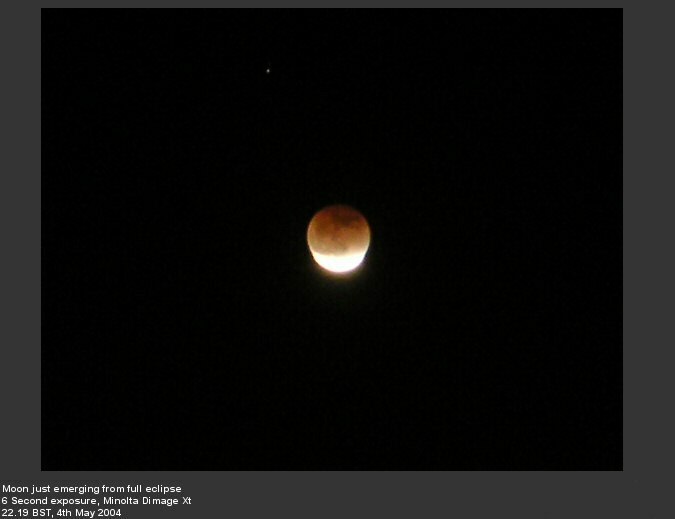 The moon actually rose in full eclipse, but was first hidden by some cloud clinging to the horizon. 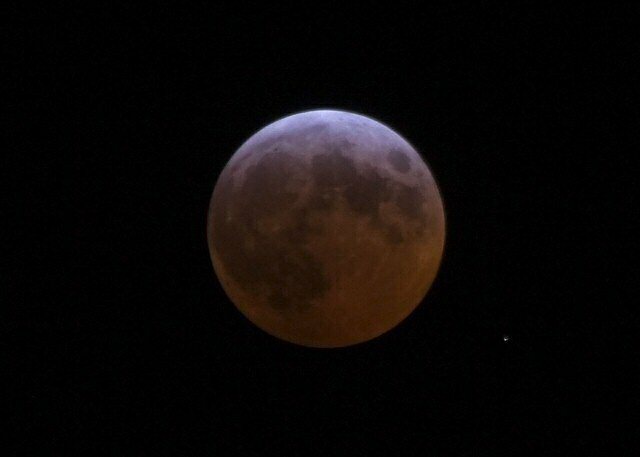 By 21.30 BST, however, we had some excellent views of a sandy-red moon in full eclipse. 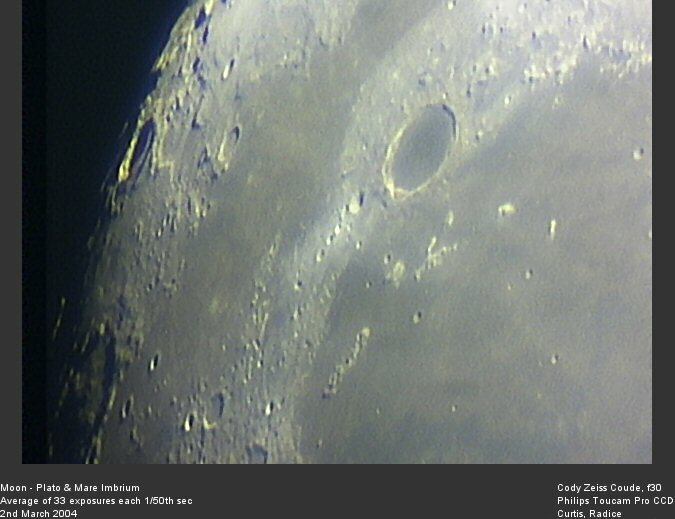 The Cody scope was set up and we observed the moon as it left the umbra at around 22.12. Some members used cameras to photograph the image through the eyepiece. At left are a few of the images - click the thumbnails for a larger view. 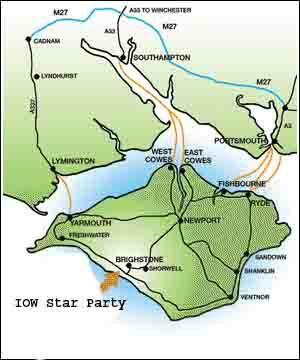 On the same night Bob Mizon, the BAA co-ordinator of the Campaign for Dark Skies, travelled up from Dorset, to give us more on the background of Light Pollution and to report on latest developments following the Government Select Committee Report. 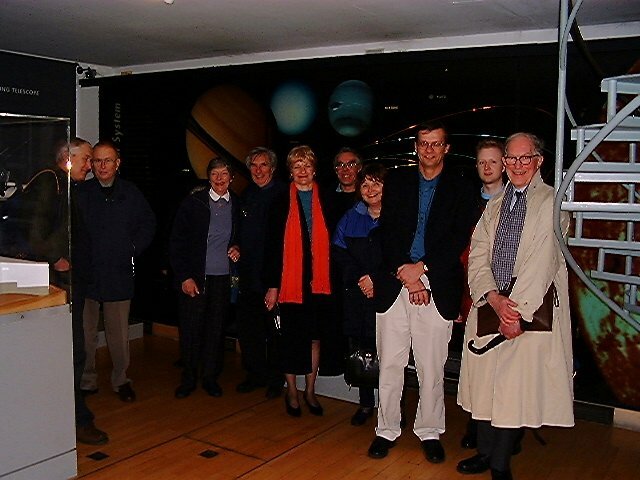 After the lecture both of our visitors joined members at the observatory. 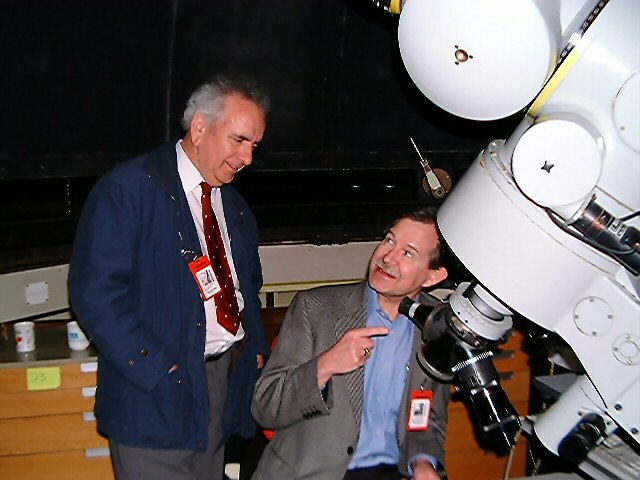 The photo shows Bob Mizon (left) and Philip Perkins discussing the view of Jupiter, as seen through the Society's Zeiss Telescope. The late afternoon cloud suggested we were in for a poor night, but the clouds parted leaving a hazy sky which permitted some observation. More than a dozen members enjoyed a balmy night for the time of year. 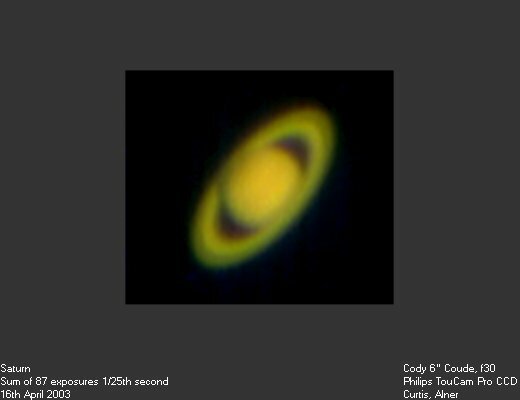 Much of the activity centred on Saturn and Jupiter, which were showing some detail in the odd rare moment of good seeing. 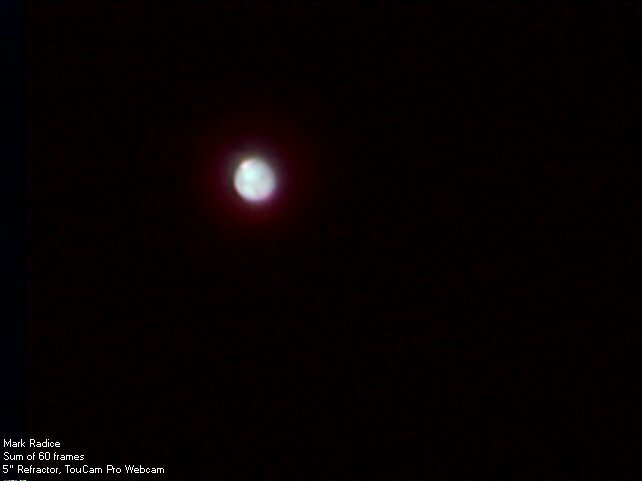 An occultation of Jupiter's moons Europa and Ganymede was observed and the Great Red (or light pink !!) 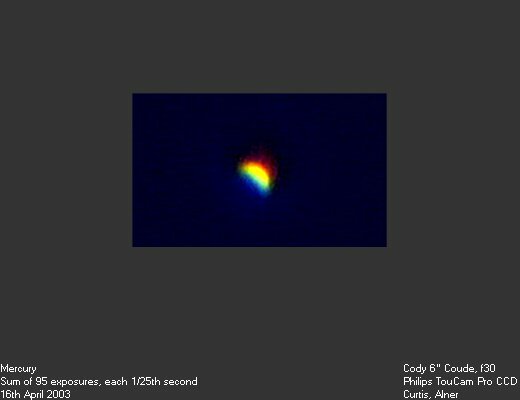 spot was seen approaching the meridian around 21.30. 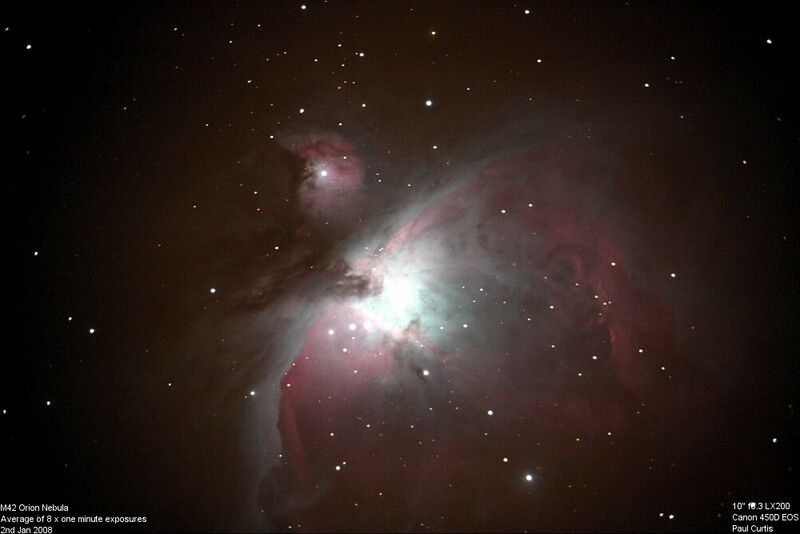 Observation of M42 in Orion also proved popular with some detail being visible in the nebula. 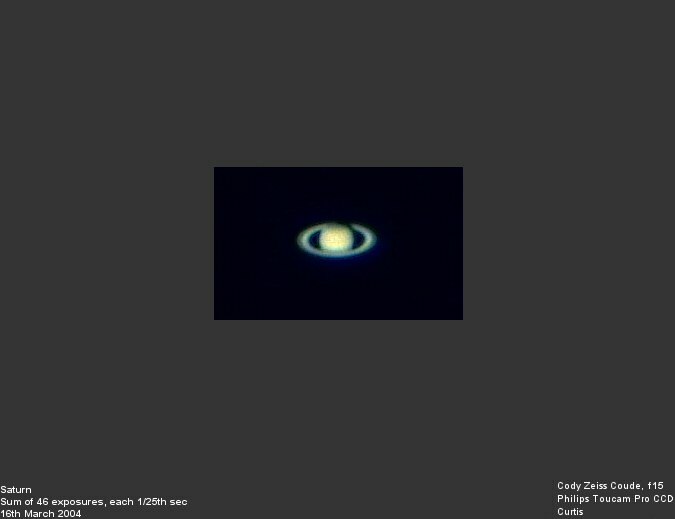 Some webcam images of Jupiter and Saturn were taken on the Zeiss scope - click on thumbnails on the left. The originally scheduled night was cloudy but a retry on 2nd March gave us some hazy skies and the opportunity for some observing. 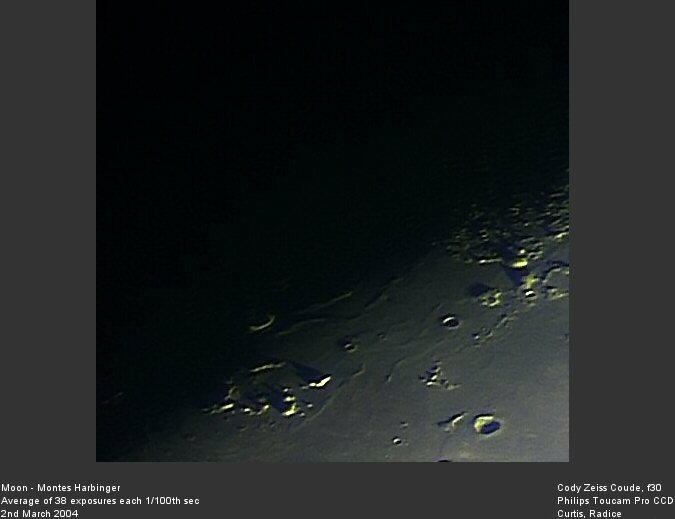 Click left for some webcam images taken on the night. This winter the society has been running monthly observing evenings as an alternative to formal lectures. Although the second of these in November was cloudy, the first evening in October and the third in December were both clear. 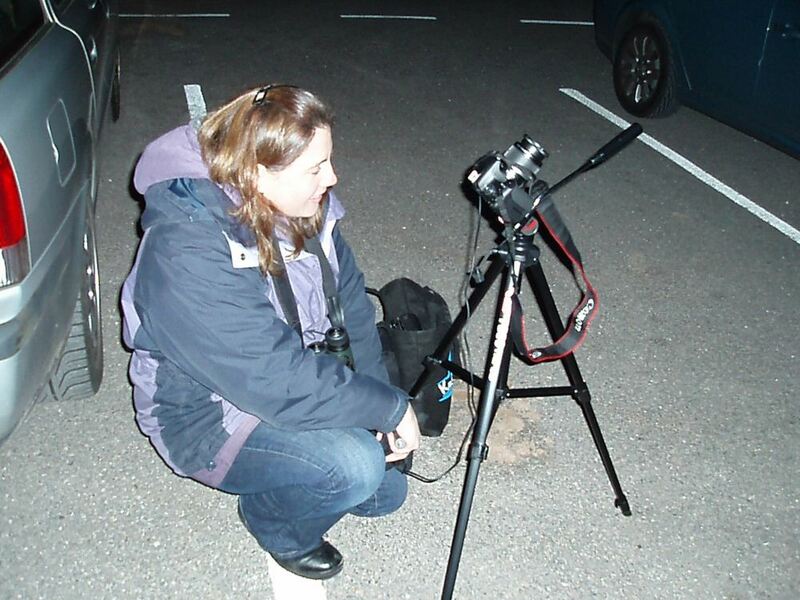 Both clear evenings attracted large numbers of observers, over 20 people in each case, from new observers to experienced members, some of whom brought in their own scopes. The December evening was enhanced by some festive cheer in the form of wine and mince pies ! 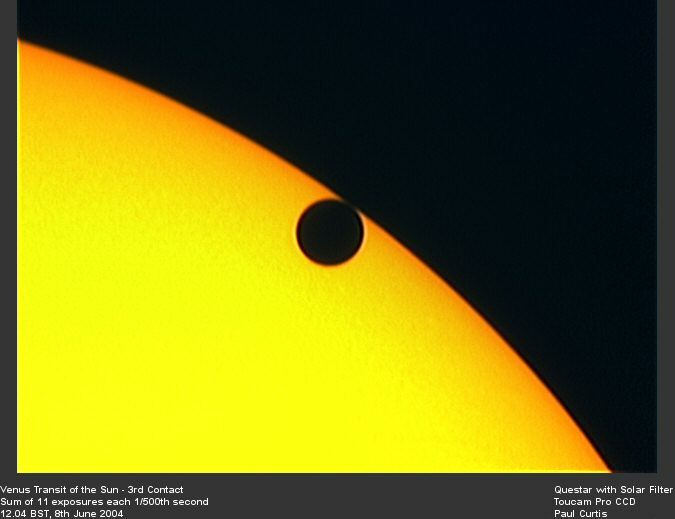 On 7th May 2003, Mercury passed in front of the Sun. This event was watched by many of the club's members. Some were enthusiastic enough to be at the Observatory around 6am to catch the start, but many others came along at more respectable times on their way into work or to catch the end around 11.30am. 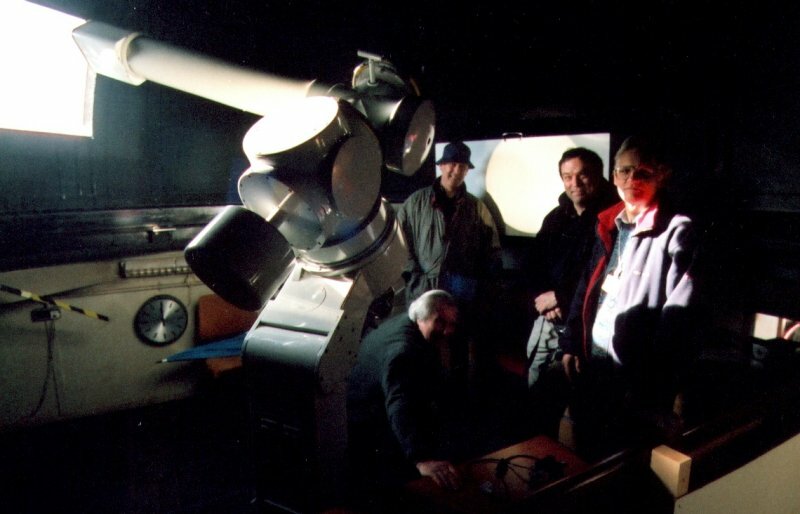 The Zeiss 'scope was set up in projection mode and some members brought their own scopes with solar filters which were set up outside the observatory. 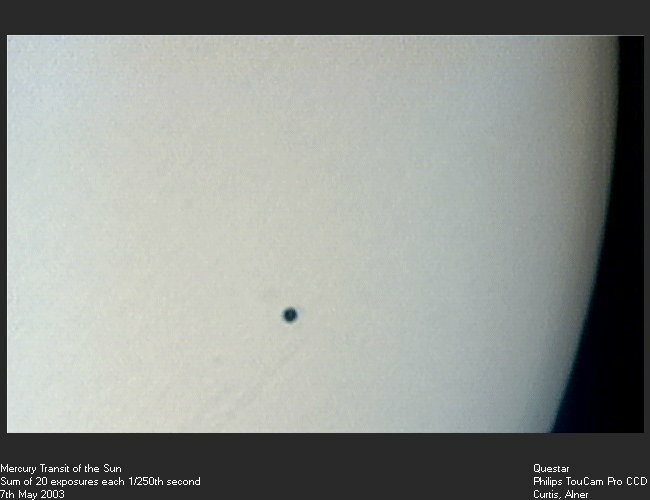 Some webcam images were taken of both the Mercury transit and a large sunspot close by (click left for examples). More information on the transit can be found here. 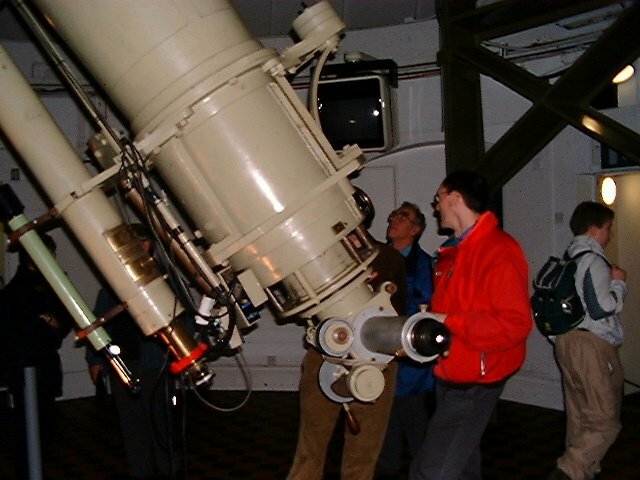 On 16th April 2003, several of the members came up to the Observatory around 8pm to observe Mercury, which was around its highest (approximately 15� just after sunset). 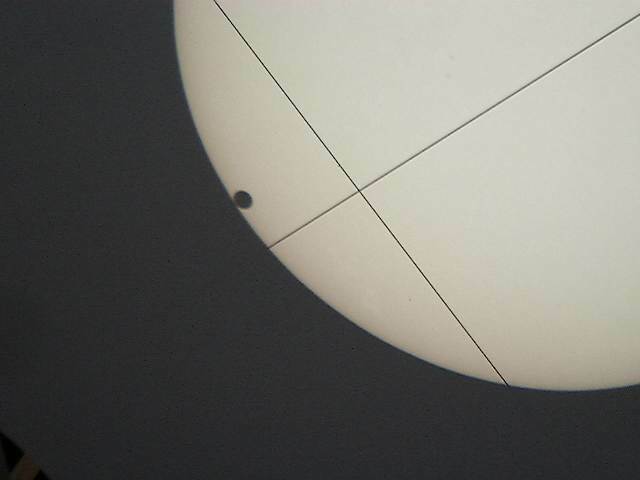 Mercury was easily visible through the Cody 'Scope and in binoculars. 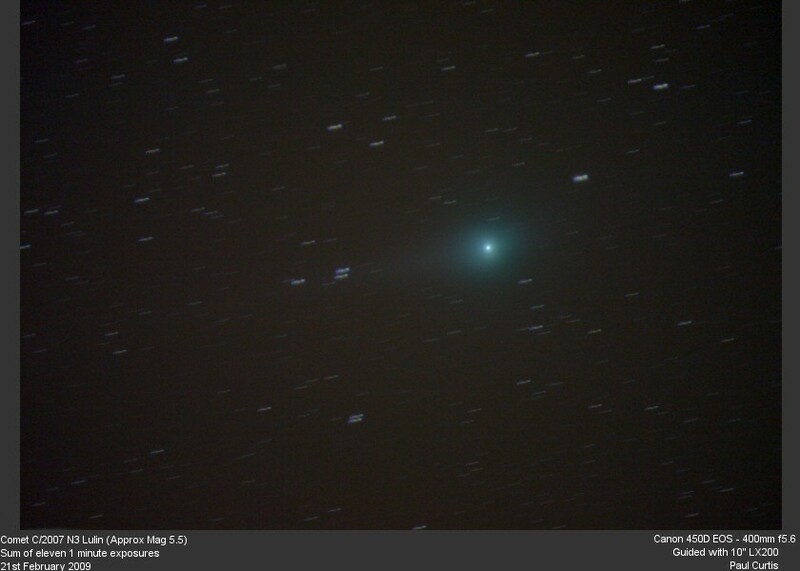 By around 8.30 it was very impressive with around a 40% disk showing. Shortly after it was clearly visible by eye. 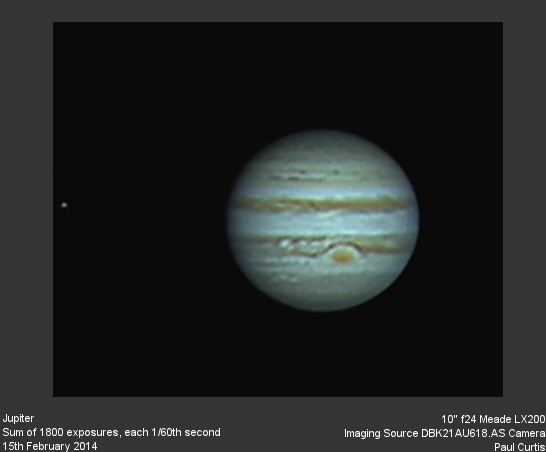 Following the Mercury observation, members also observed Jupiter and Saturn. In addition to observing by eye, Paul Curtis brought along his webcam and demonstrated its use. 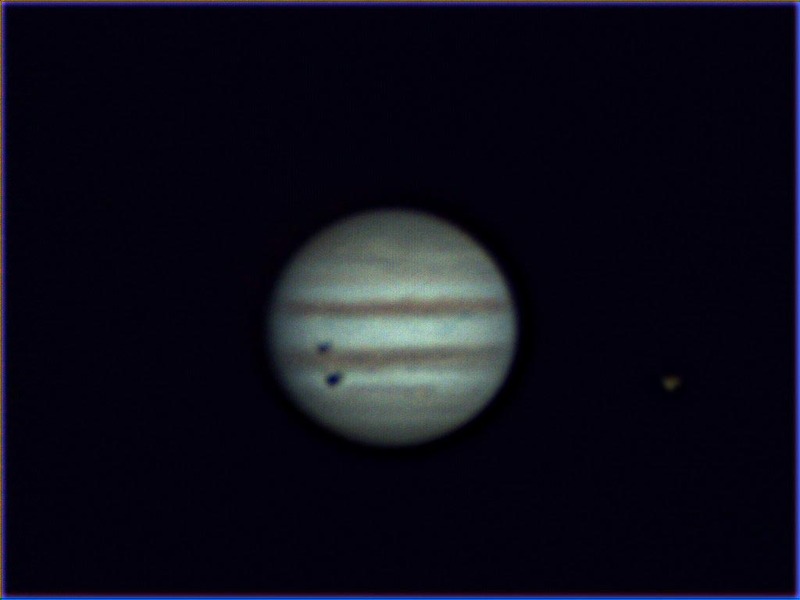 Many images of the three planets were taken. See left or click here for the resulting images. 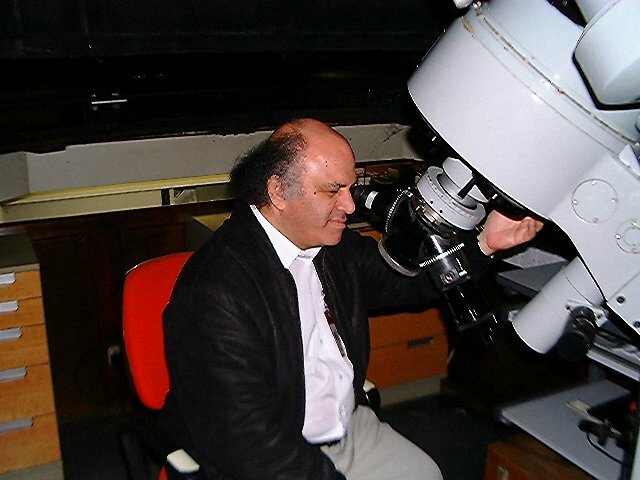 On 20th March 2003, renown astrophotographer and asteroid hunter George Sallitt visited the society and gave an excellent talk on CCDs Imaging with Webcams. 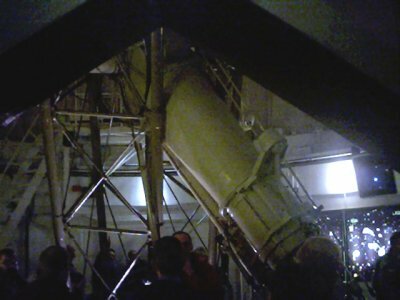 Afterwards George visited the observatory - click left for a picture of him at the society's Zeiss telescope. On 12th March 2003 the society was visited by staff and students from Yateley school. 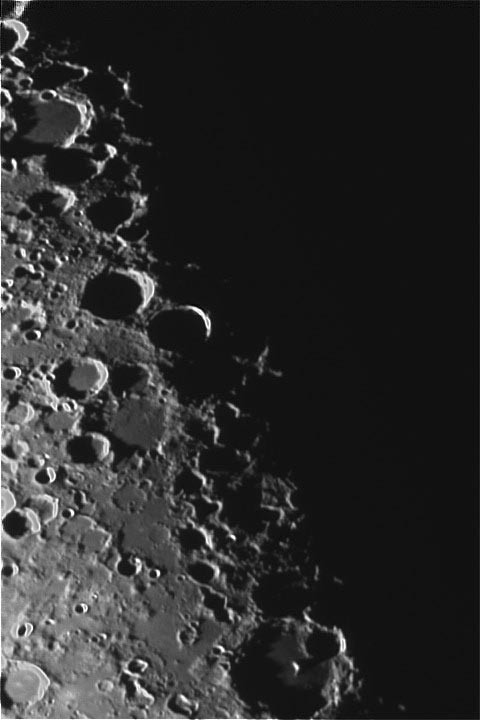 Sadly the clouds rolled in a few hours beforehand and we were unable to use the society's telescopes in earnest. However, the telescopes were demonstrated and a short talk was given by Gordon Lloyd. 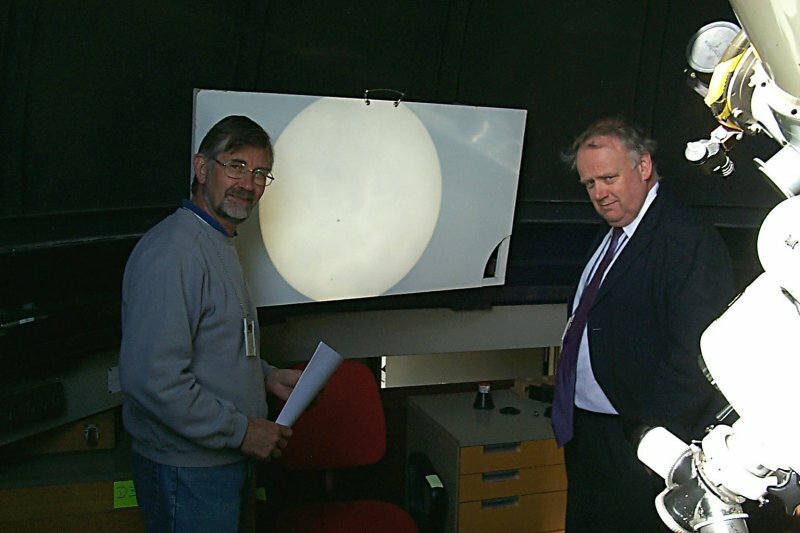 On 16th January 2003 the president of the BAA Guy Hurst visited the society and gave a talk on 'The Search For Novae & Supernovae'. He also talked about his role as editor of the Astronomer magazine. The talk was very well attended by around 50 people from the society and guests, who thoroughly enjoyed the presentation. This was followed by a lively question and answer session. On 16th April 2002 Saturn was occulted by the Moon. 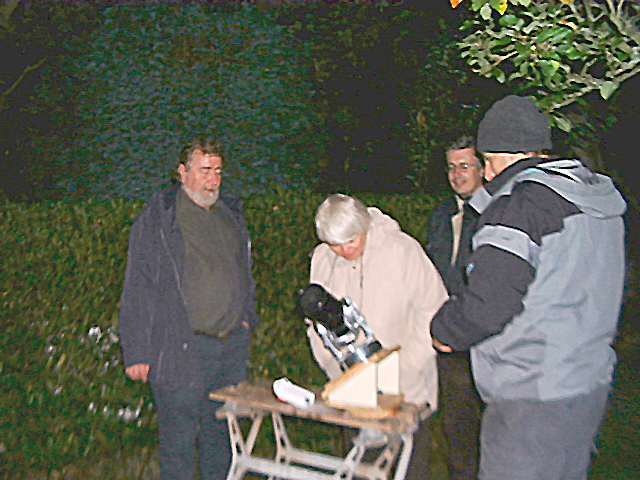 The society organised a 'Star Party' at the observatory to observe the event. The evening was well attended, with half a dozen members' scopes being brought in and the society's Zeiss and Meade scopes being put into operation. 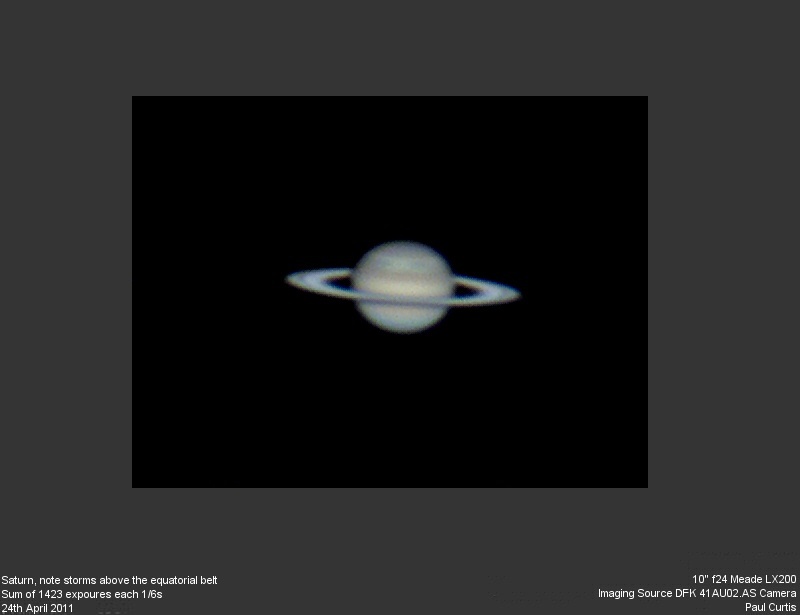 Members were able to see Saturn disappear behind the moon then reappear 25 minutes later. 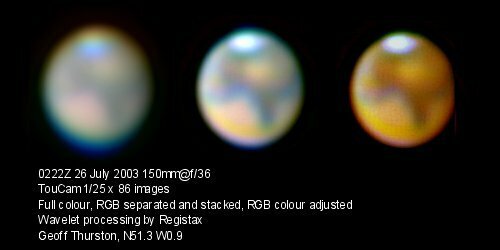 Saturn's moon Titan was also seen being occulted. 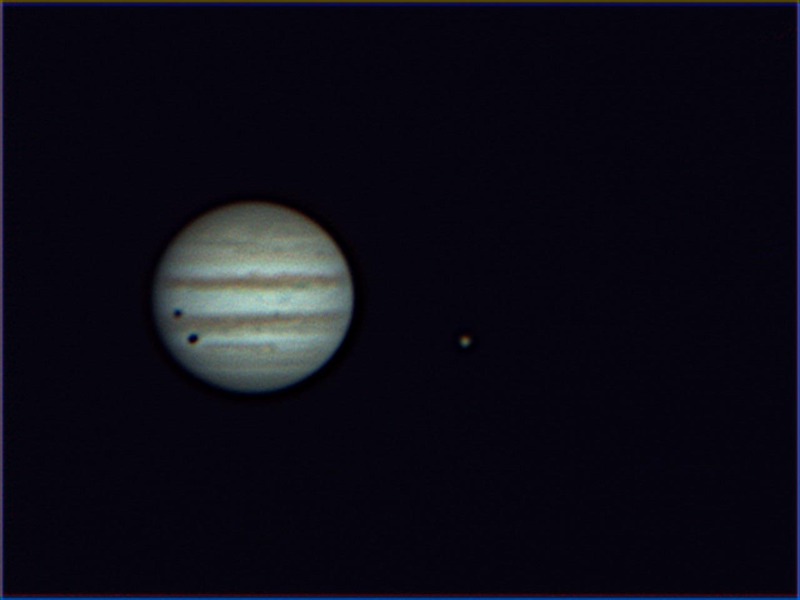 As well as the occultation, observers saw the ISS around 8.30 and later a shadow transit of Jupiter by moon Io. 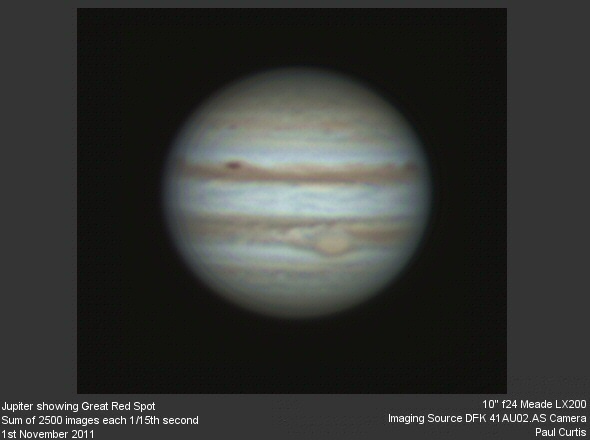 The great red spot on Jupiter was also well placed and seen by some of those who attended. 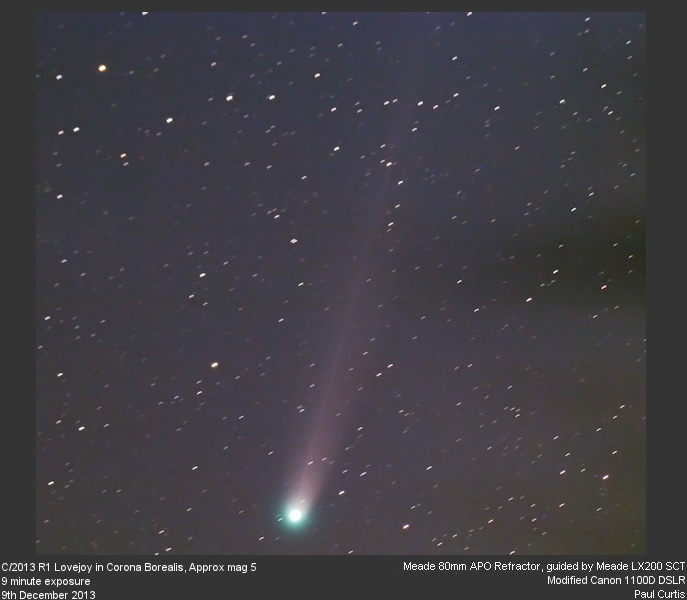 Take a look at Comet Ikeya-Zhang, visible in 2002 in binoculars. For pictures taken by members click below. 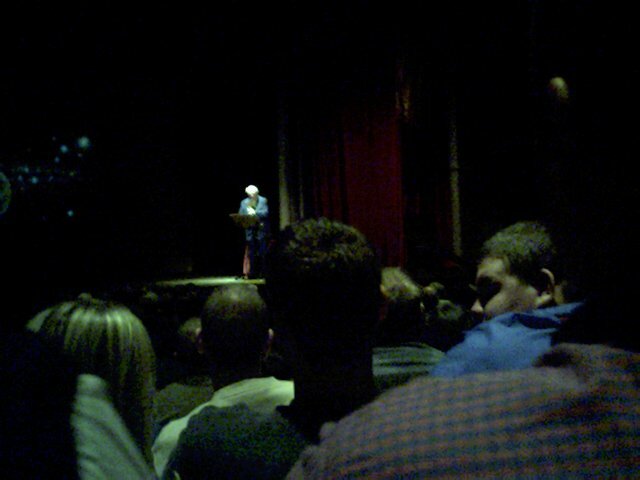 On February 6th 2002 a group of society member's went to Aldershot Princes Hall to hear Patrick Moore talk about 'Space'. The lecture was the usual magical blend of Patrick's wit and outstanding knowledge of the field, with the 35mm slide display and a probing question and answer session.